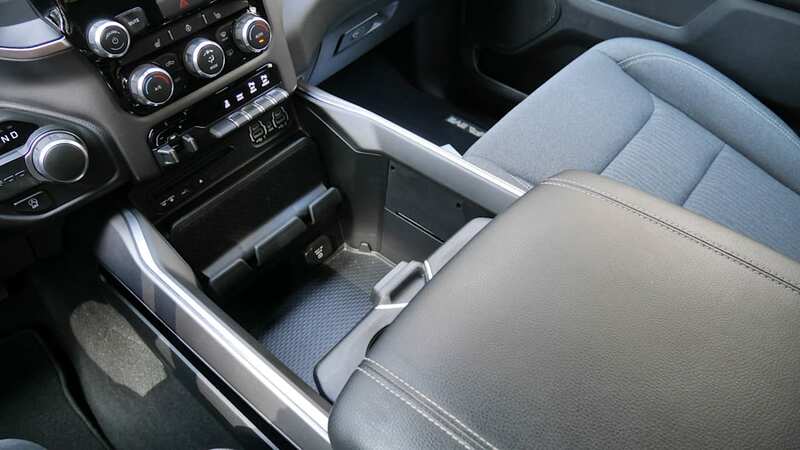 Yes, this is underneath the center console armrest. 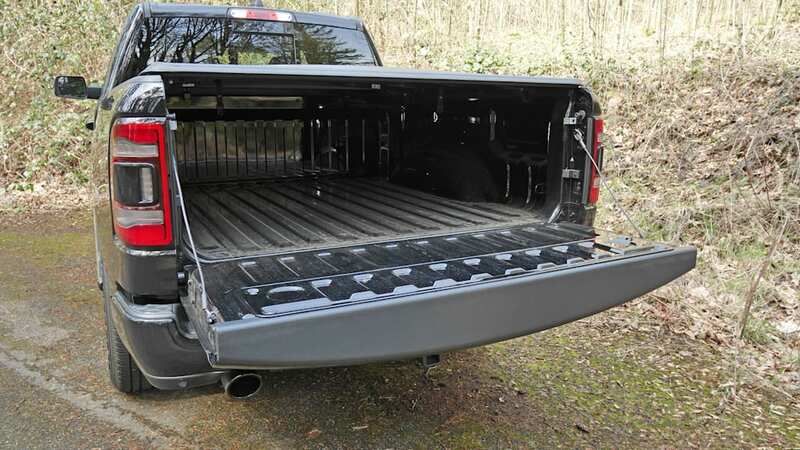 Hey, why not? 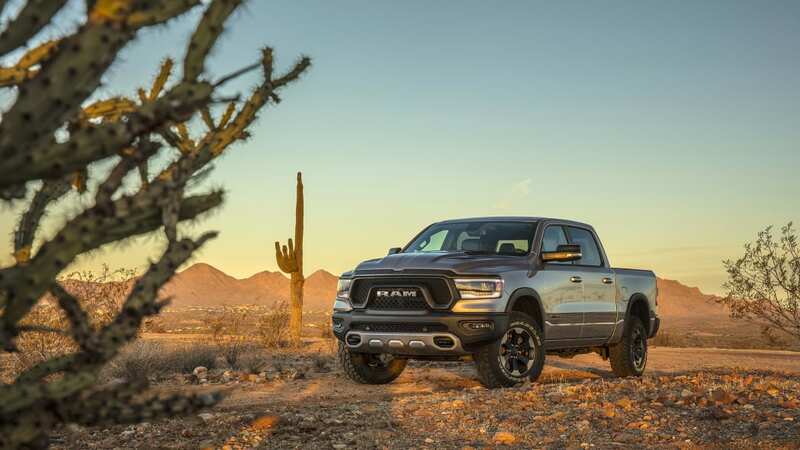 Quite simply, the 2019 Ram 1500 is our favorite full-size pickup. 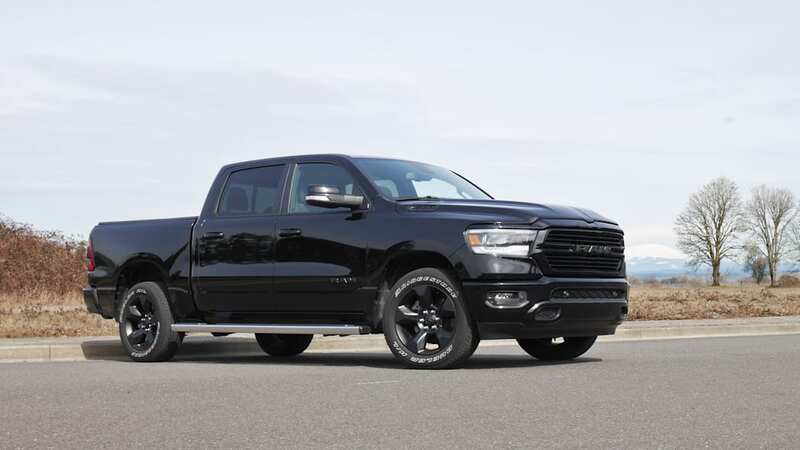 From its most basic Tradesman trim to the fanciest Limited and everything in between, we're enamored with its well-rounded, well-executed and generally thoughtful range of talents. 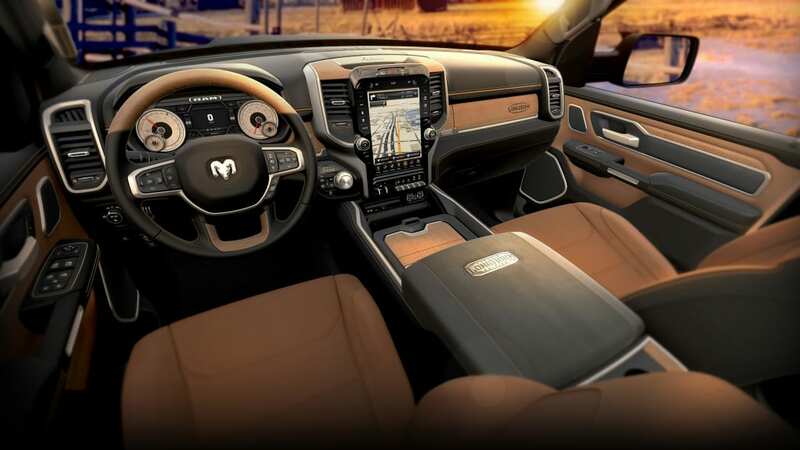 It nails all the hard-working truck necessities, while going several steps further with such things as a class-best ride, clever interior storage, attractive cabin design and many unique features. 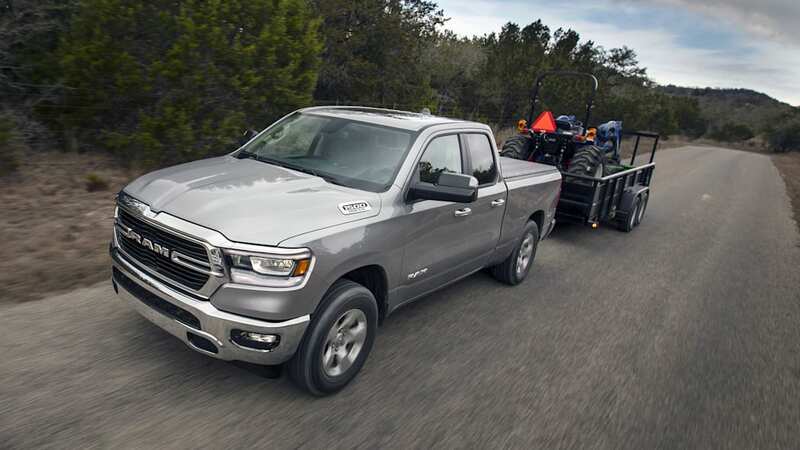 It's not offered with the breadth of powertrain offerings as rival trucks, but the eTorque mild hybrid system standard with its V6 and optional with the Hemi V8 at least improves fuel economy and refinement. 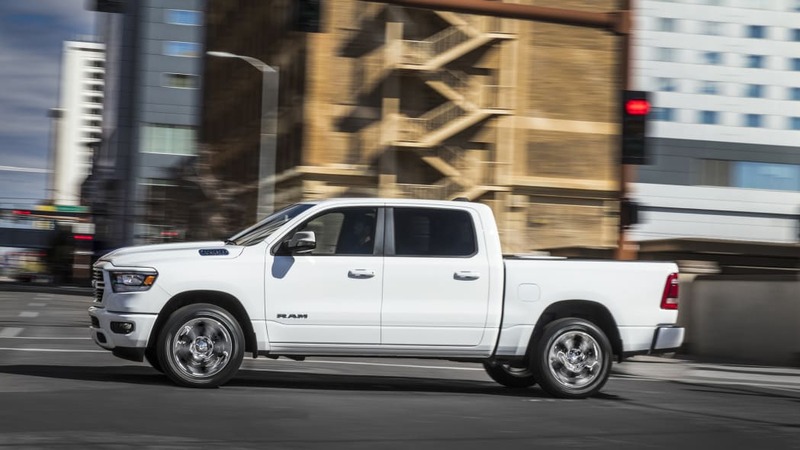 If you're looking for a new pickup, the Ram 1500 is a must-drive. 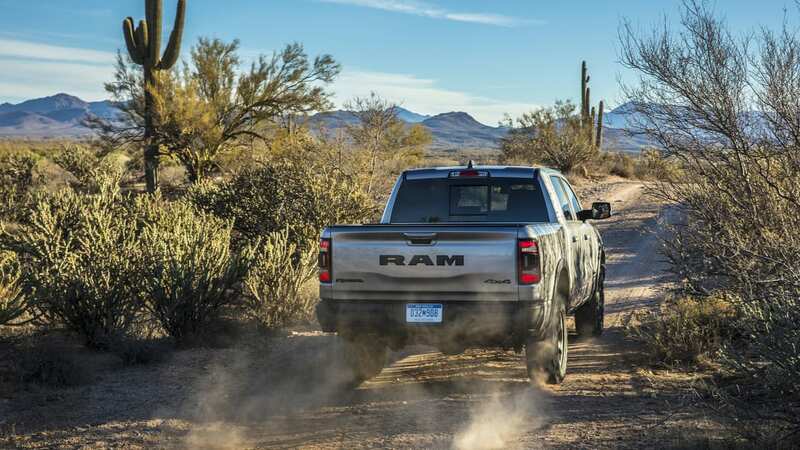 The Ram 1500 was completely redesigned for 2019, although the previous generation truck is still sold under the name Ram 1500 Classic. 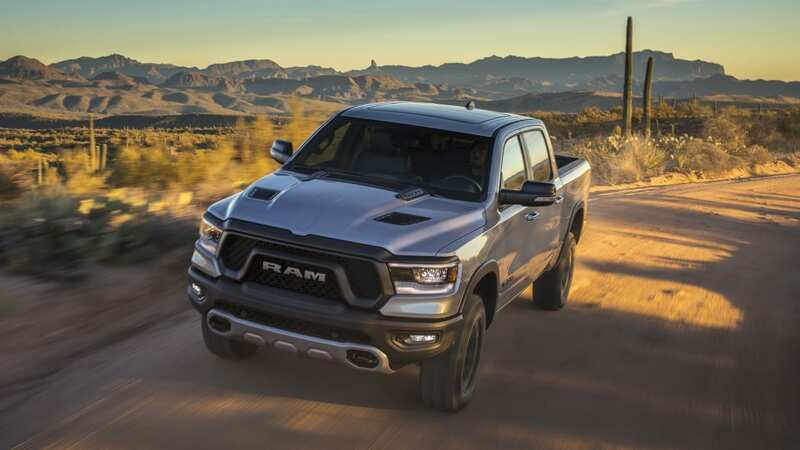 Essentially, the new Ram builds on that otherwise excellent predecessor by adding refinement, innovation and mechanical improvements. 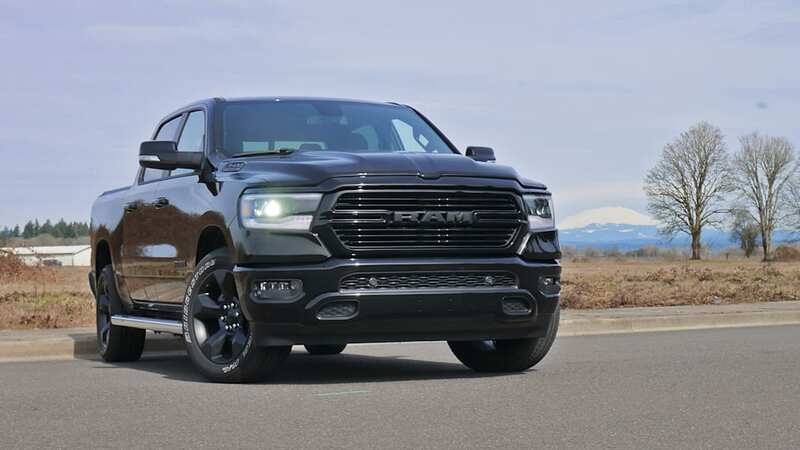 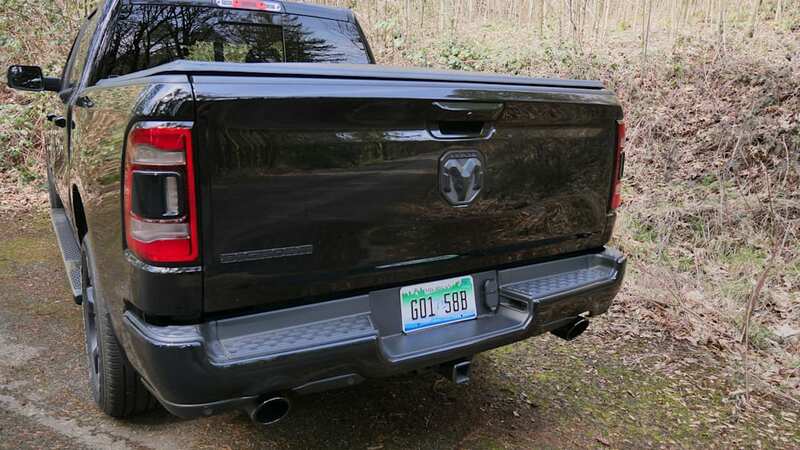 You can read about them more in-depth in our 2019 Ram 1500 First Drive Review. 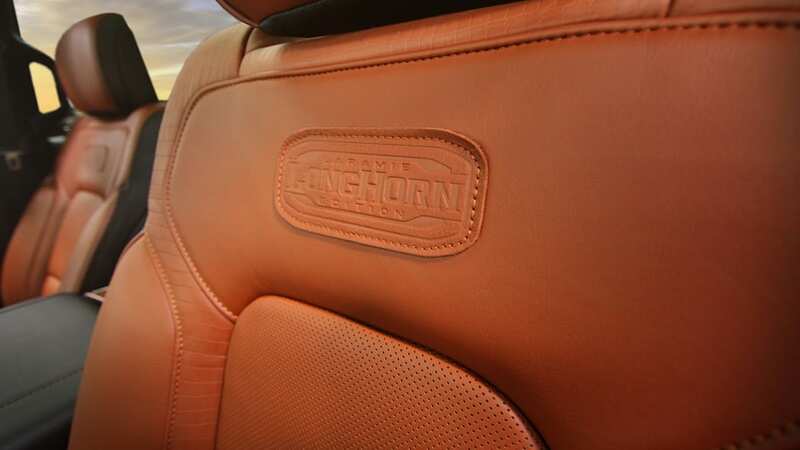 Longhorn interior details. 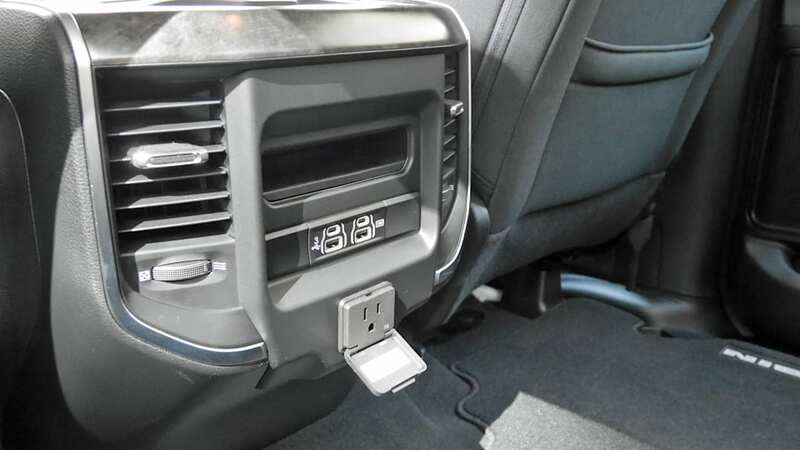 Yes, this is actually in the truck on the front seat backs. 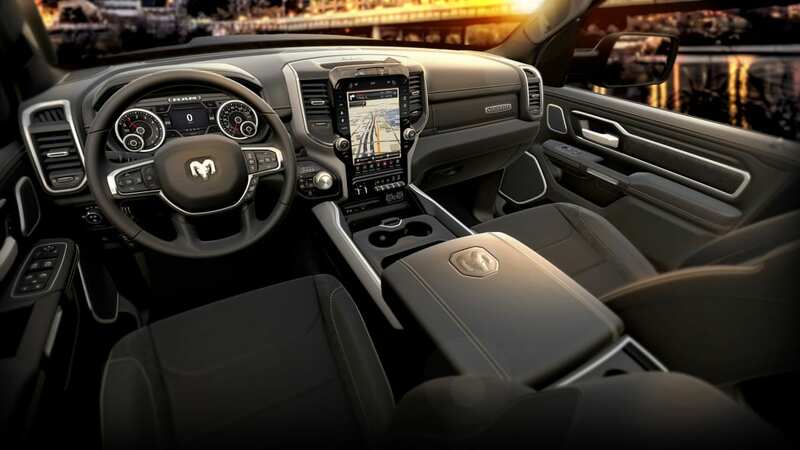 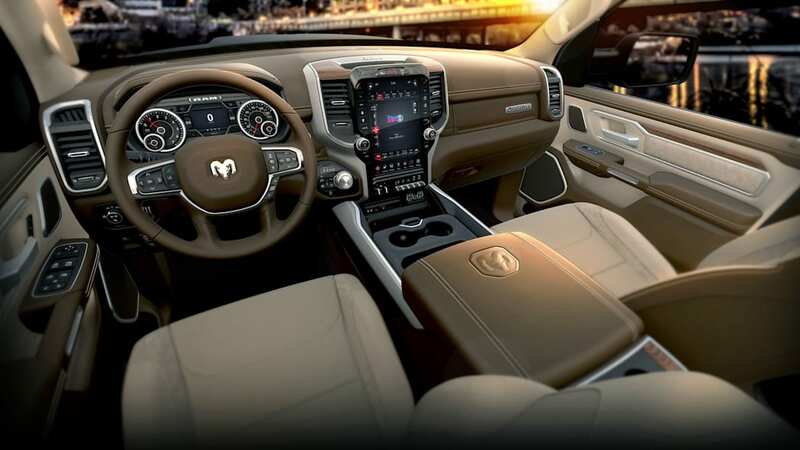 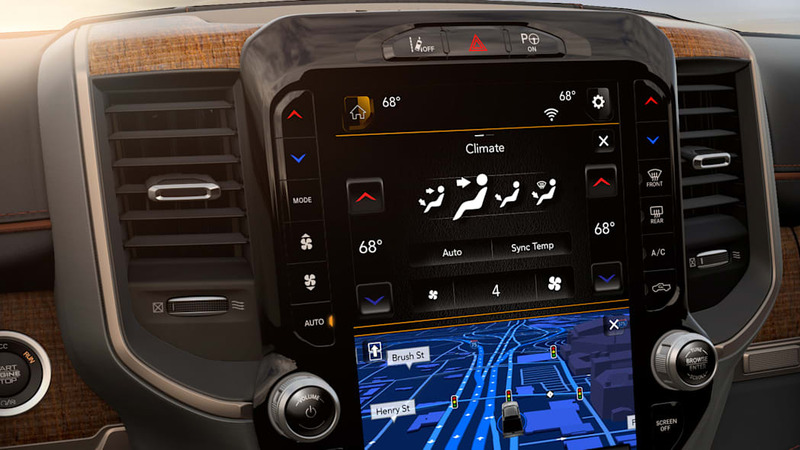 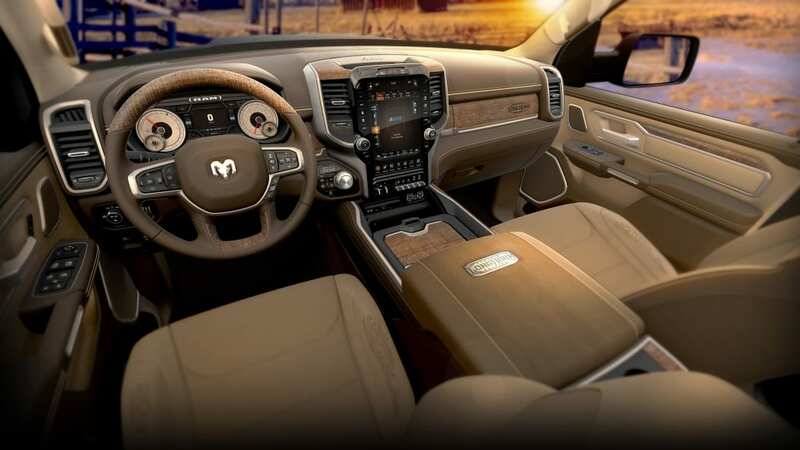 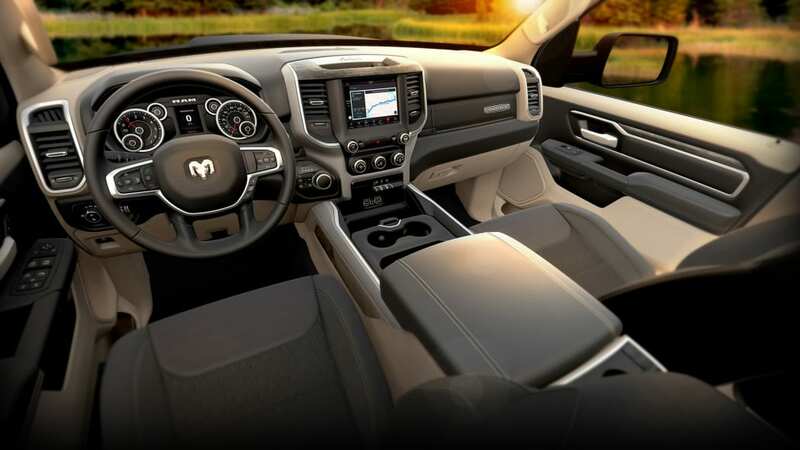 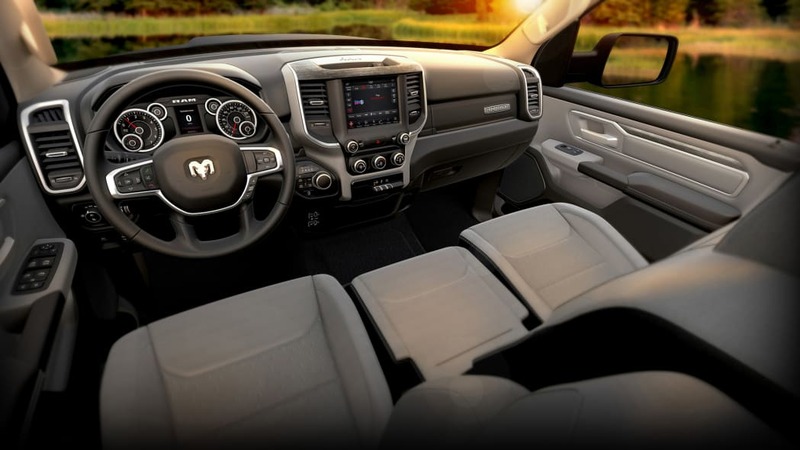 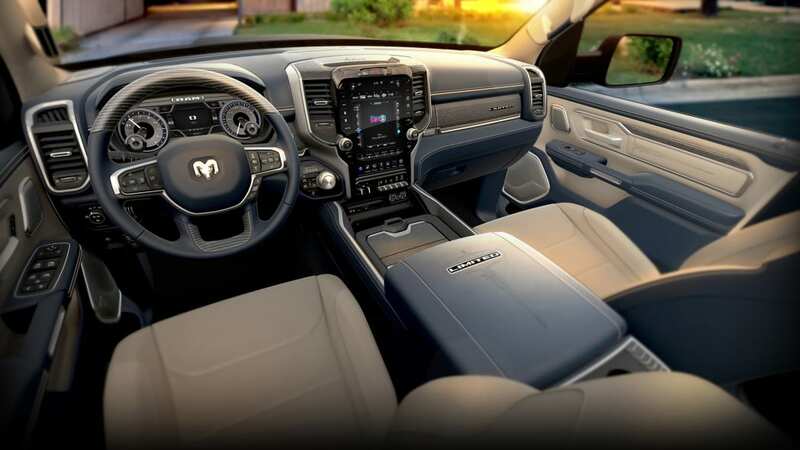 It's easy to be smitten by the Ram 1500 in its fanciest Longhorn and Limited trim levels, which are bedecked in soft leather, special color schemes and unique styling elements like the Longhorn emblem literally branded into real wood trim. 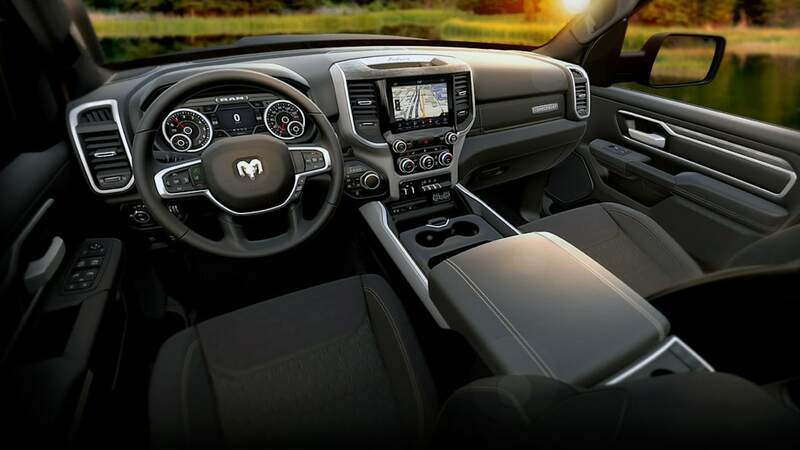 There are unique features like the huge vertically oriented touchscreen and the ventilated reclining back seat. 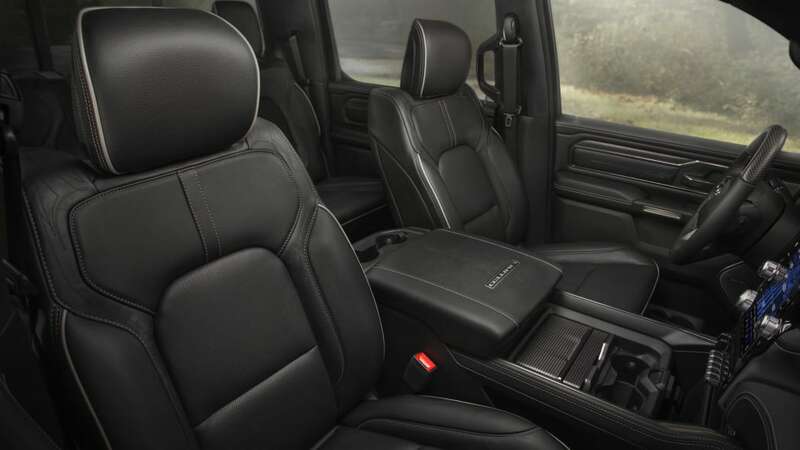 It's easily the most luxurious pickup ever made. 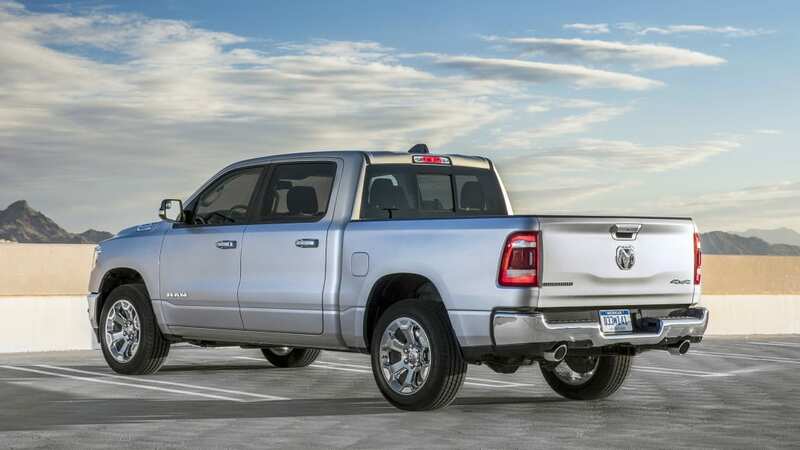 Crucially, however, we are actually more impressed by the basic Ram 1500 Tradesman and Big Horn trim levels. 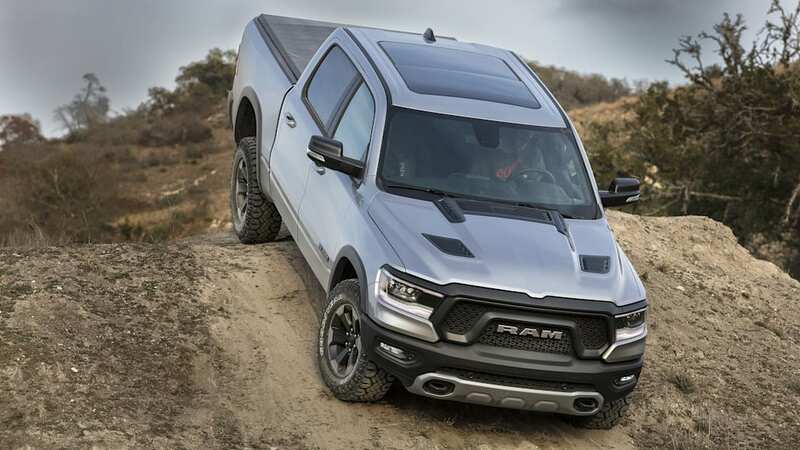 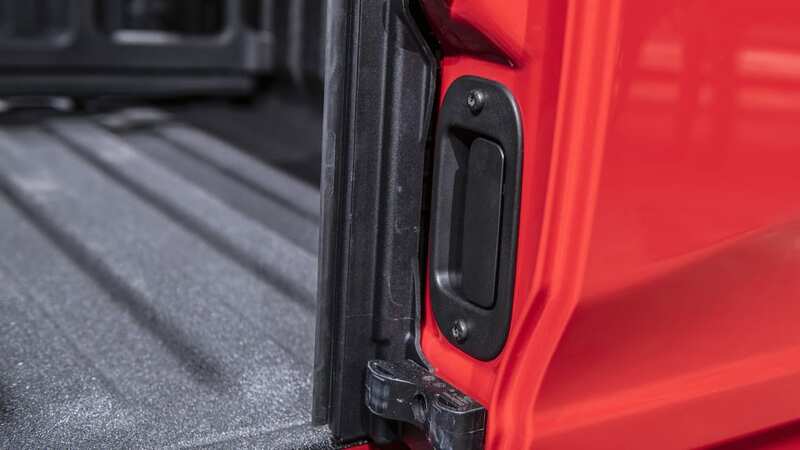 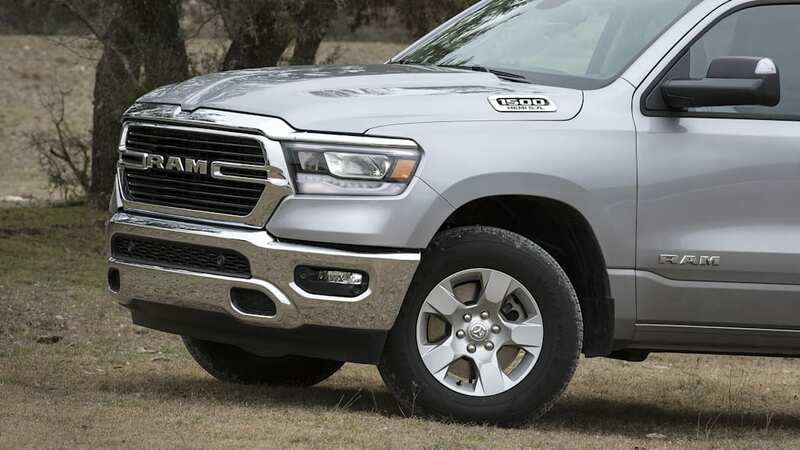 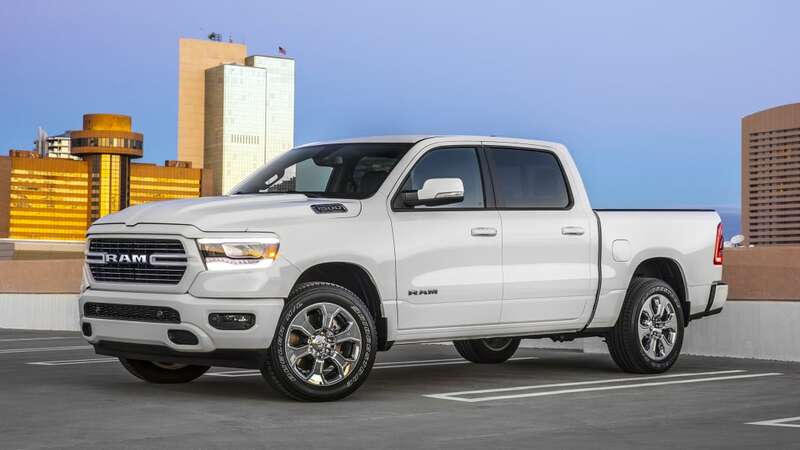 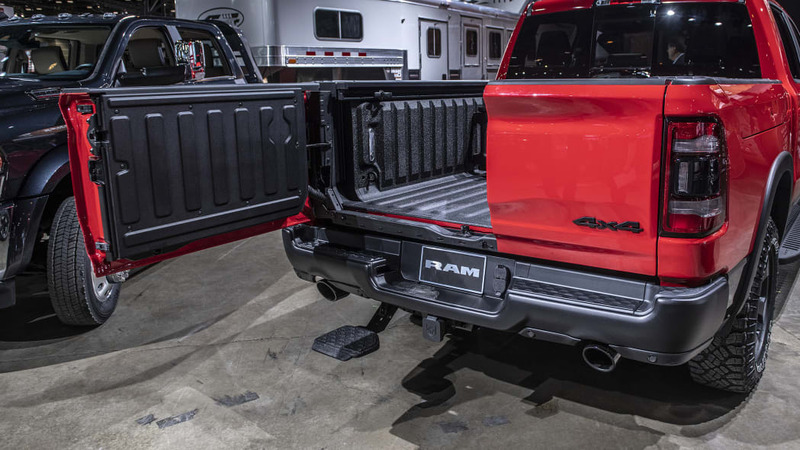 While the quality of plastics is typical for the segment (that goes for those ritzy Rams, too), the different textures and attractive design result in a cabin that looks and feels better than trucks that cost a comparable amount or more. 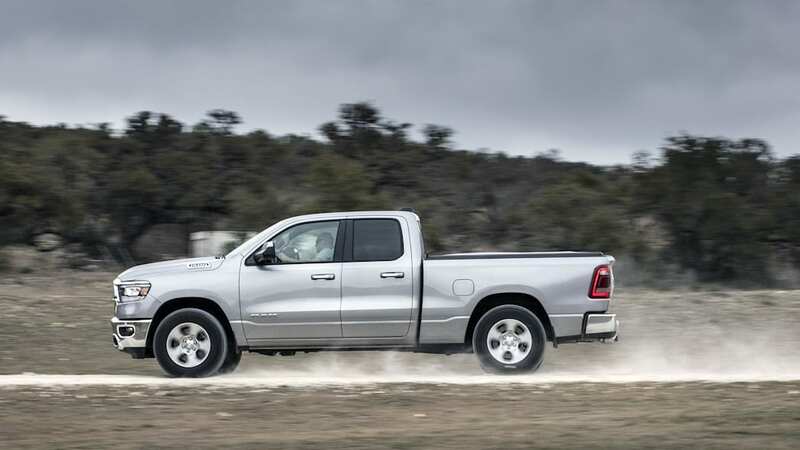 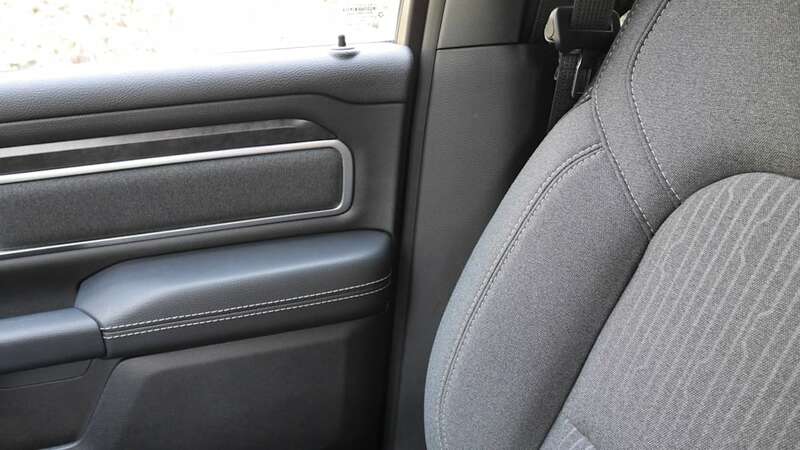 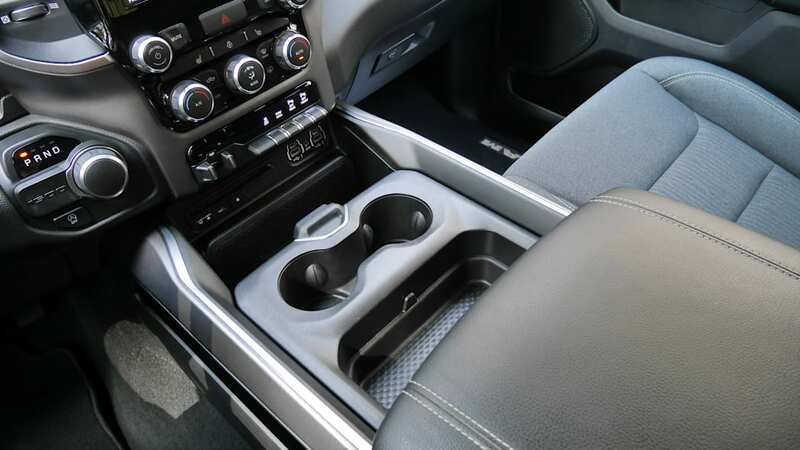 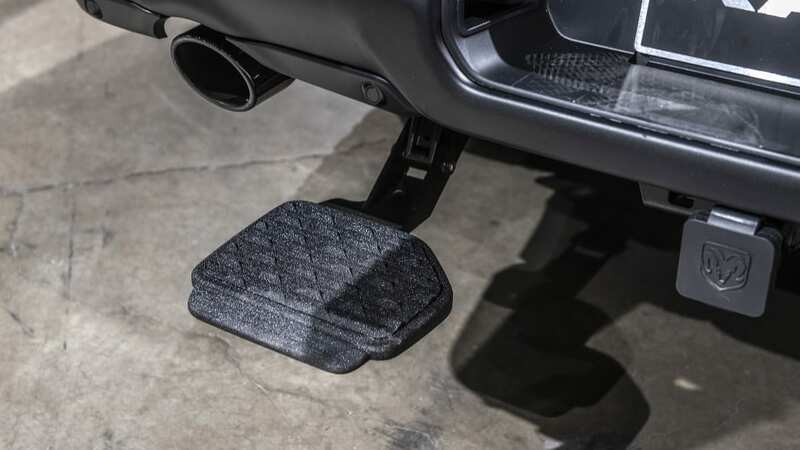 For instance, the rich gray cloth upholstery in a Big Horn test truck contributed to a far more premium environment than the one found in a leather-lined 2019 Chevy Silverado. 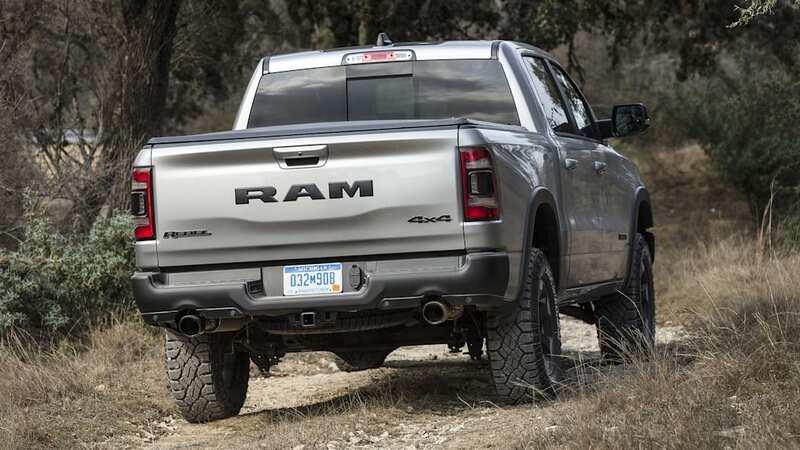 The Ram doesn't just impress aesthetically. 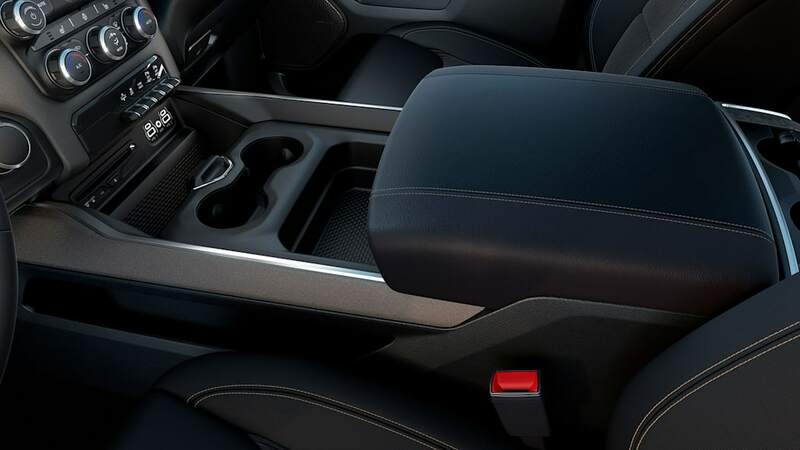 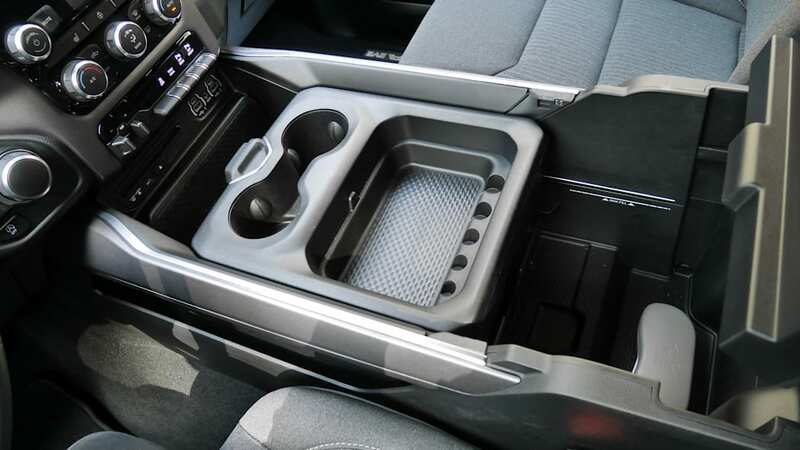 The five-passenger model's center console features the sort of clever, multi-configuration storage solutions normally possessed by Hondas. 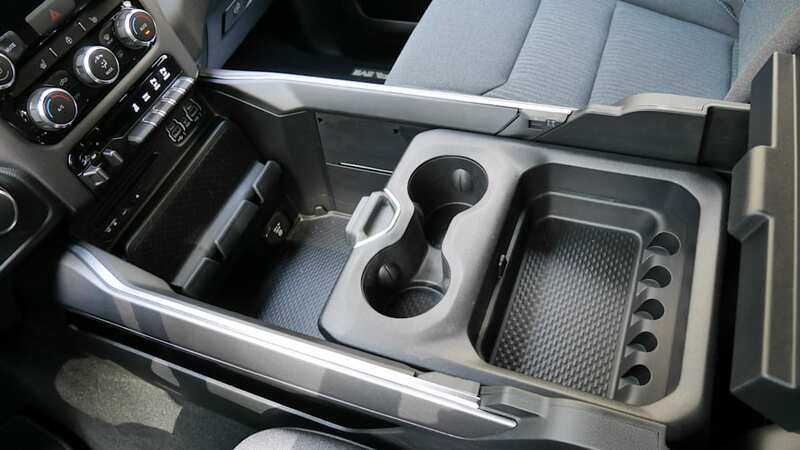 Abundant thought was clearly put into how people might use this space – it's not just some cupholders and a pair of differently sized bins. 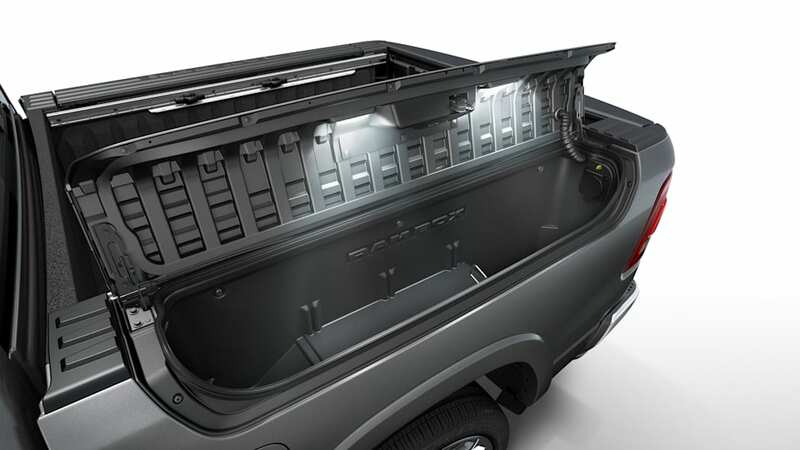 There's also a covered compartment under the rear floor and the RamBox bins that can be added to the bed walls. 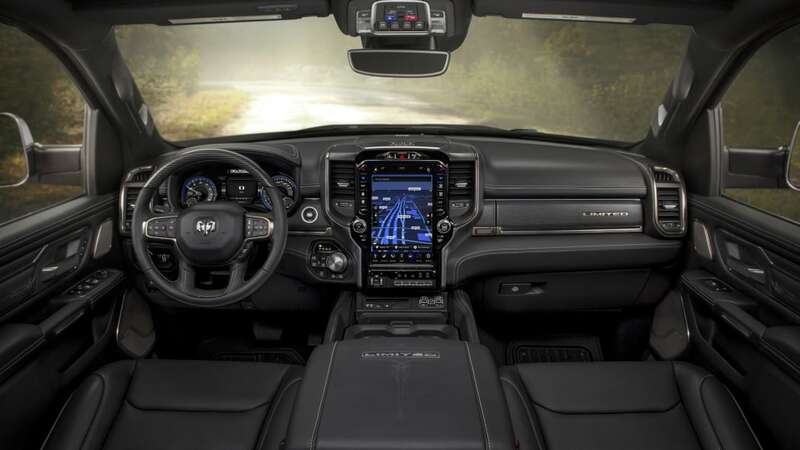 In-car technology is exceptional as well. 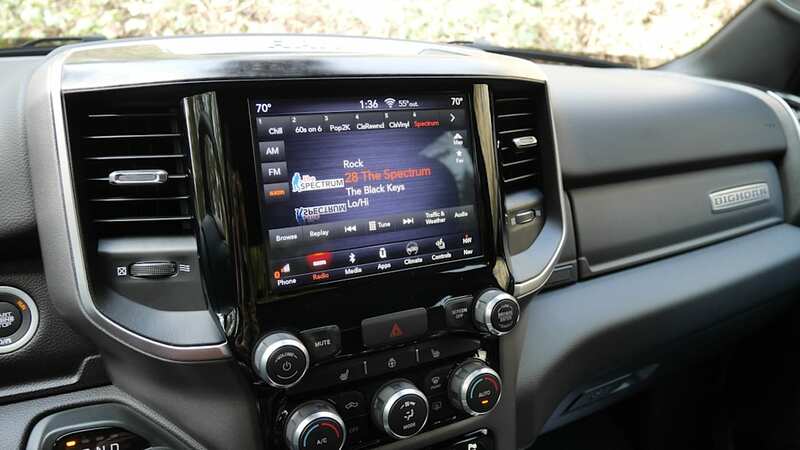 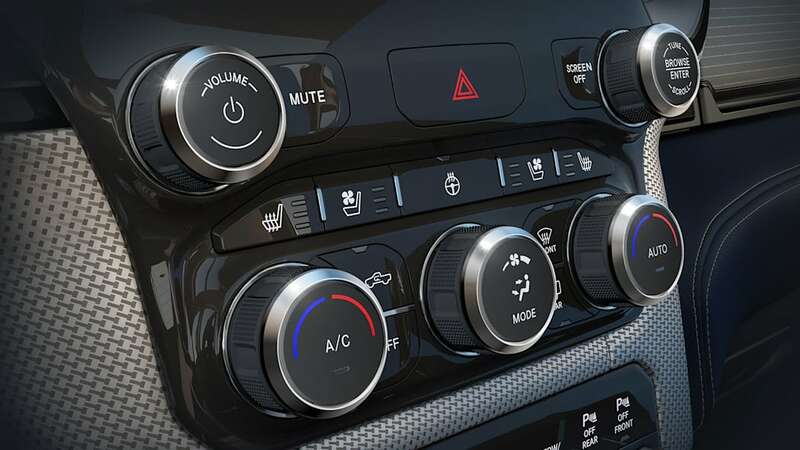 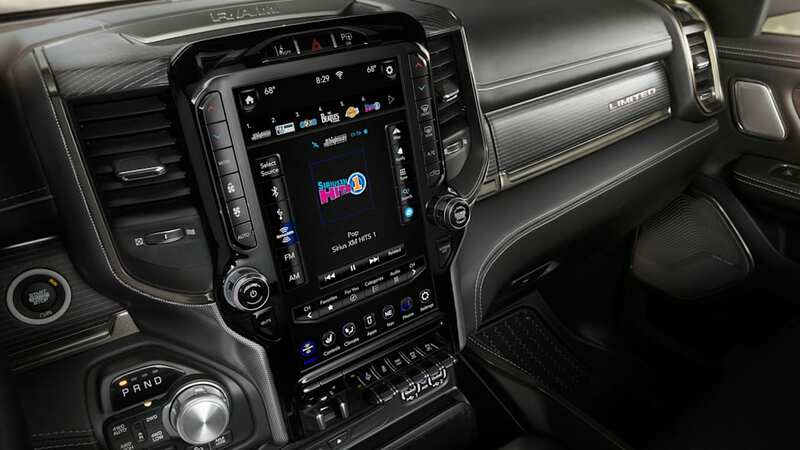 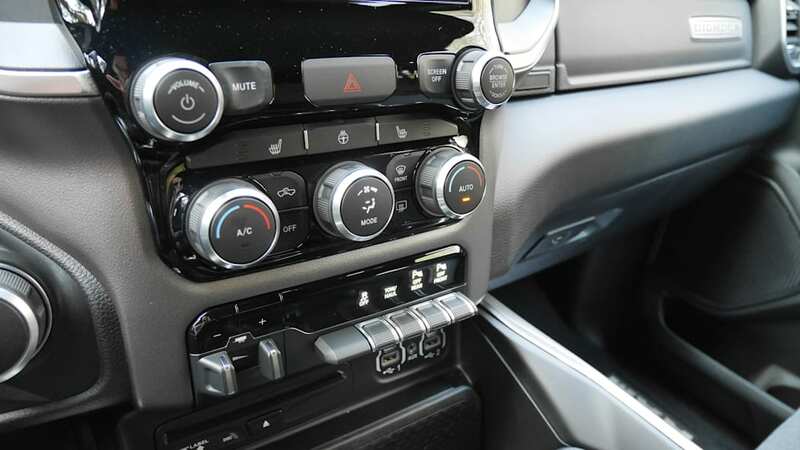 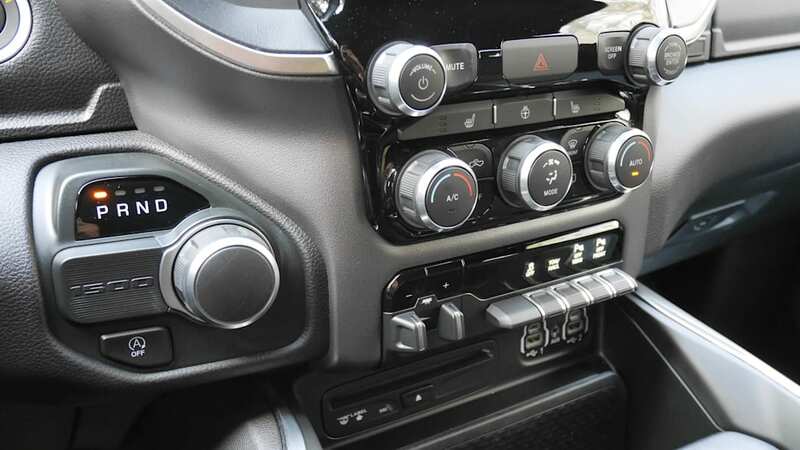 Even the most basic Tradesman has a perfectly useable five-inch touchscreen and three USB ports, while the 8.4-inch Uconnect touchscreen found on other trims is one of the most user-friendly interfaces on the market and includes Apple CarPlay and Android Auto. 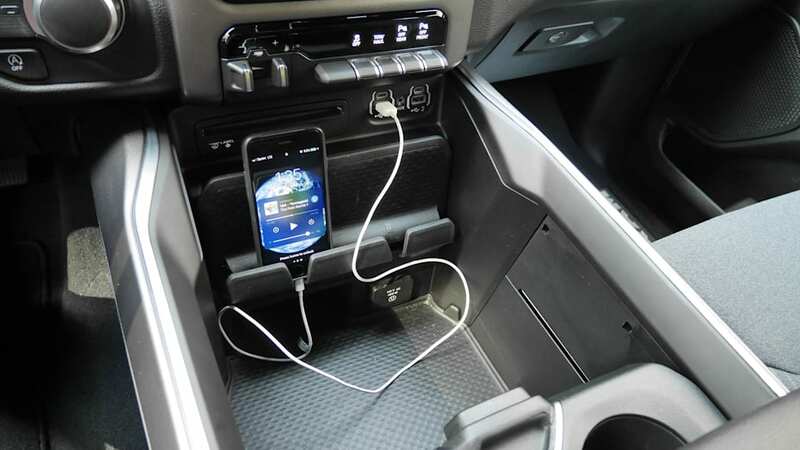 Additional USB ports can also be added to rear, including the new USB-C type. 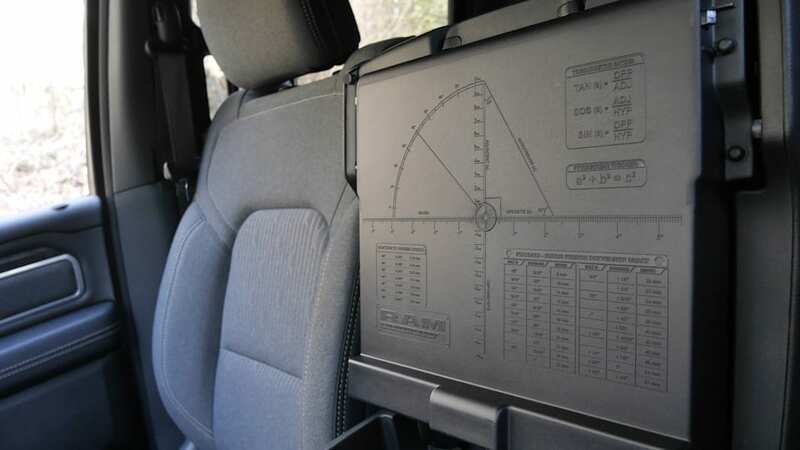 The top three trims can step things up further with the aforementioned 12-inch vertical touchscreen. 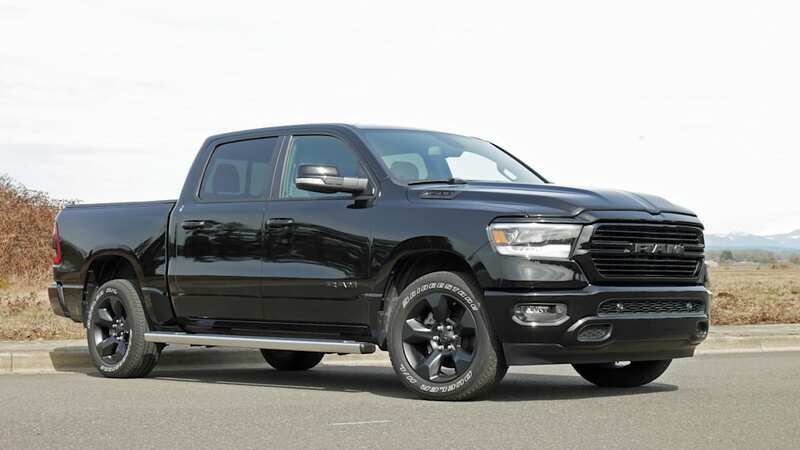 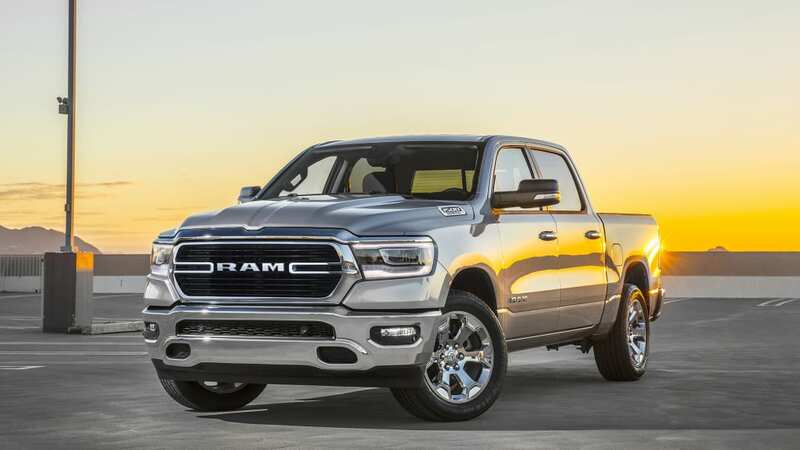 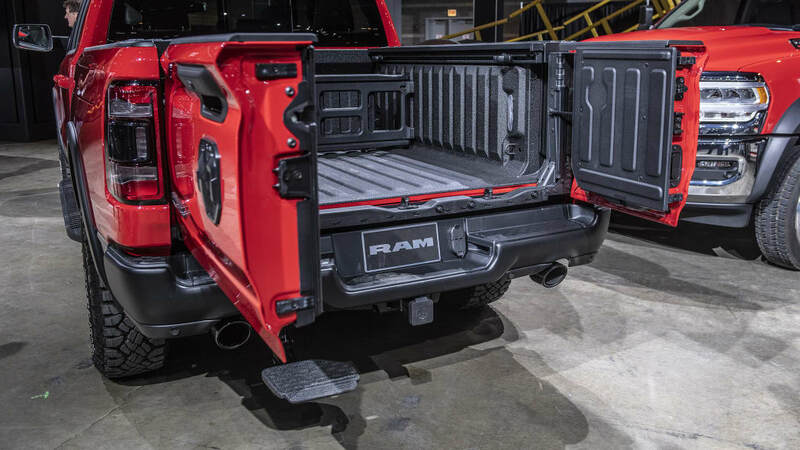 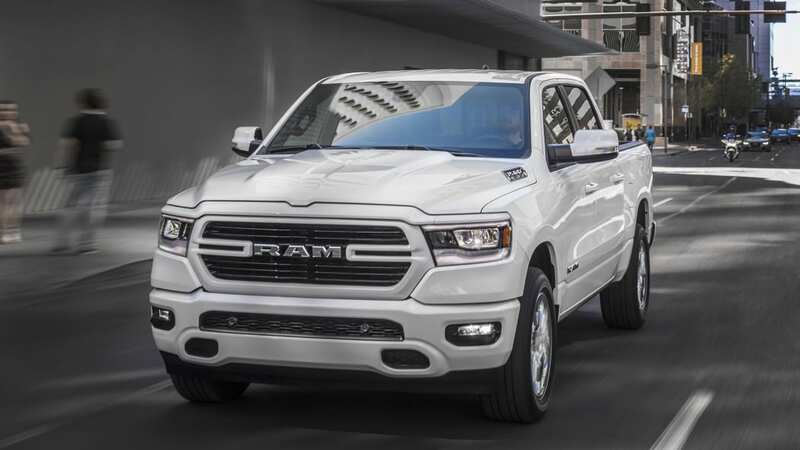 Eventually there will be a regular cab, but for now, the 2019 Ram 1500 can be had in three cab/bed configurations: an extended Quad Cab with a 6-foot-4 bed, or a Crew Cab with either that longer bed or a standard 5-foot-7 bed. 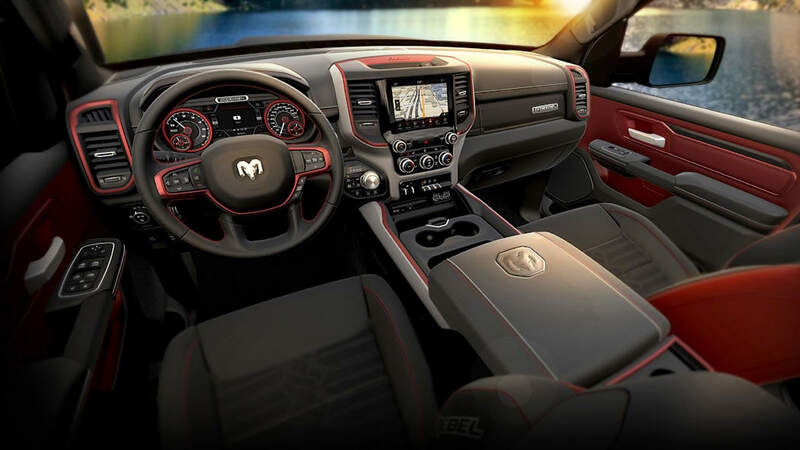 The exterior dimensions are similar to its competitors. 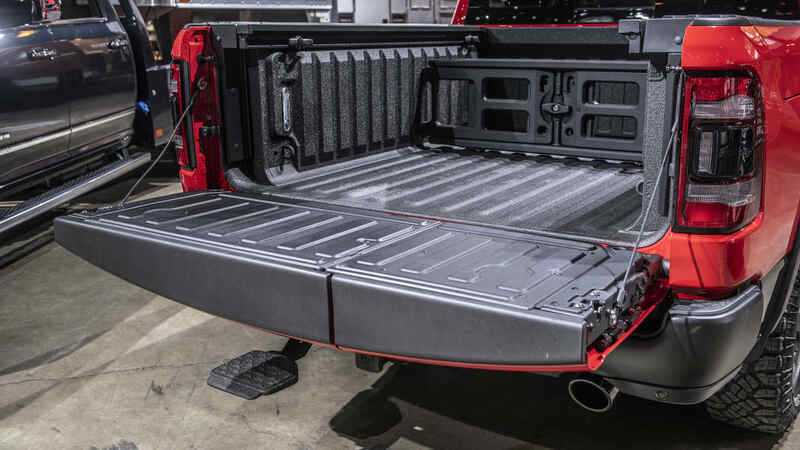 Also note that while there are two bed lengths, there are also two tailgates: a standard one and the optional multifunction split design. 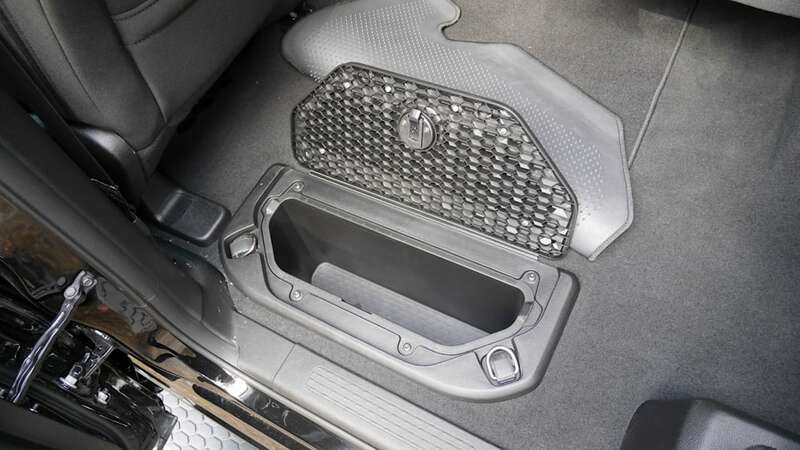 So too are its interior dimensions. 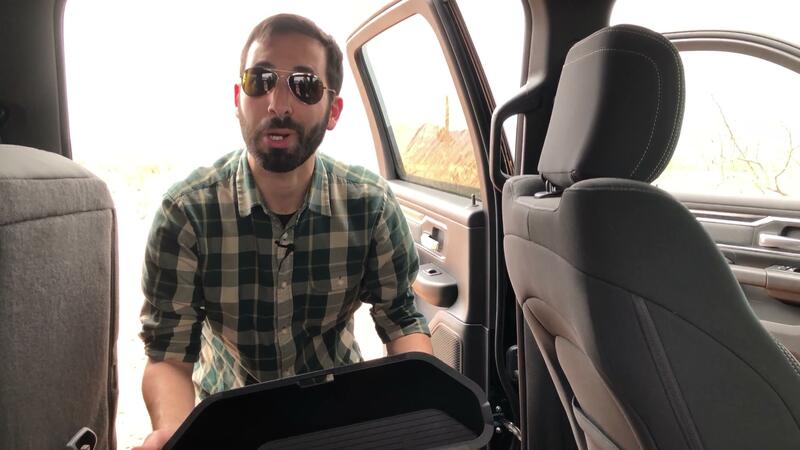 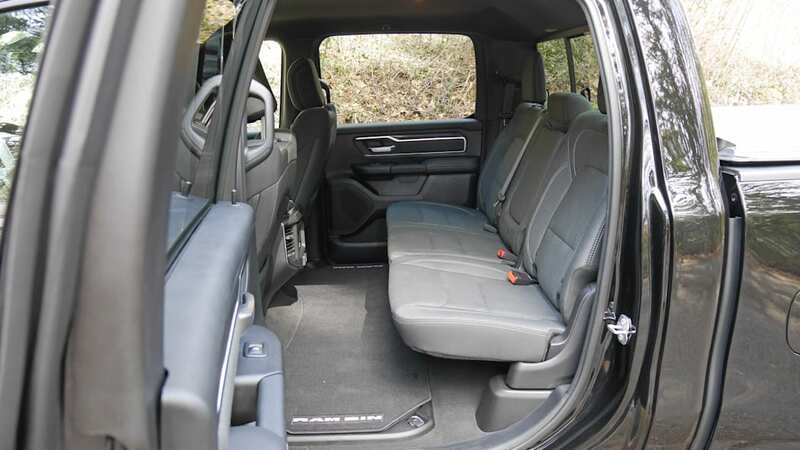 The Quad Cab's rear legroom (34.7 inches) is the same as the Toyota Tundra, but a bit more than a Ford F-150 Super Cab (33.5) and a bit less than a Silverado Double Cab (35.2). 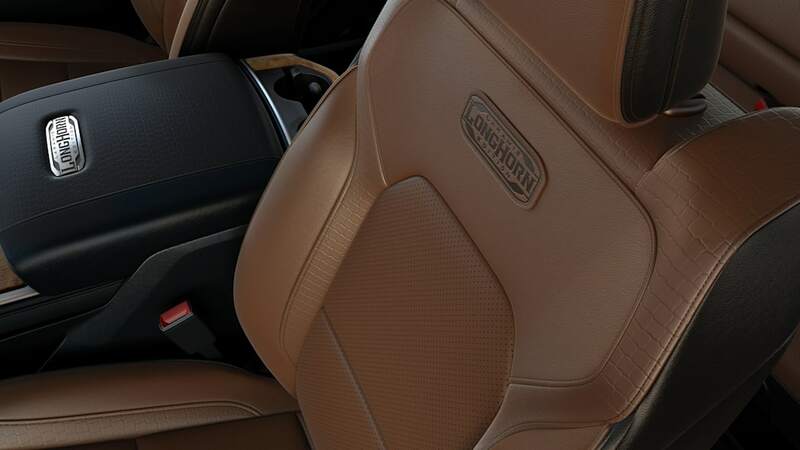 All of those figures can make for cramped legs, and given the upright backrest angle they all share, none are exactly ideal for lengthy journeys. 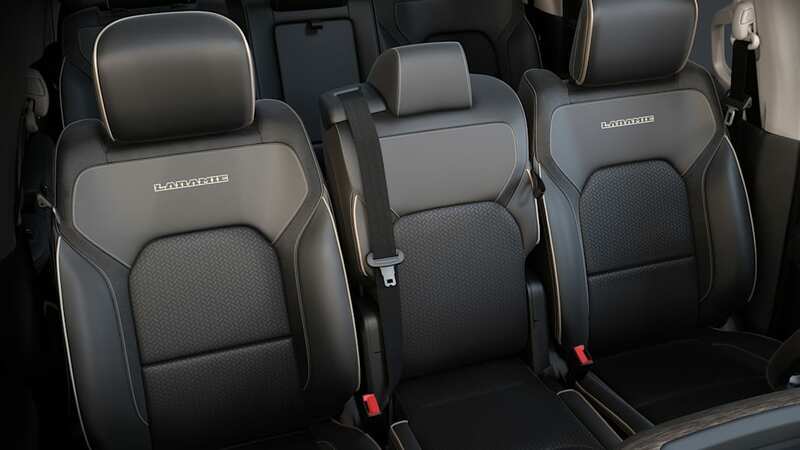 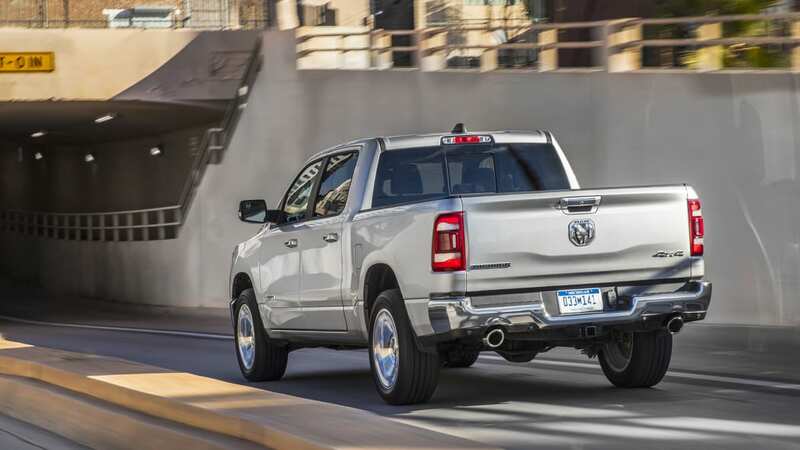 We wouldn't say that about the six-passenger model's front middle seat either, but it's seat back is notably higher than any other truck and should actually provide some head and neck restraint, as well as additional comfort. 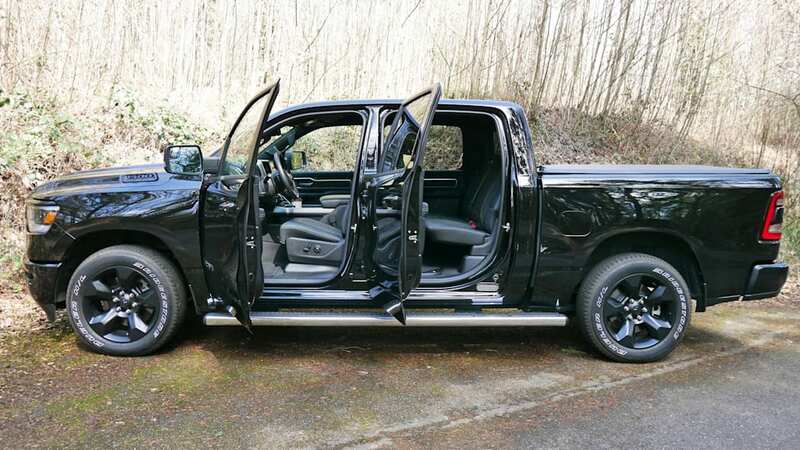 If you really need your truck to ferry passengers, an upgrade to the Crew Cab is a must. 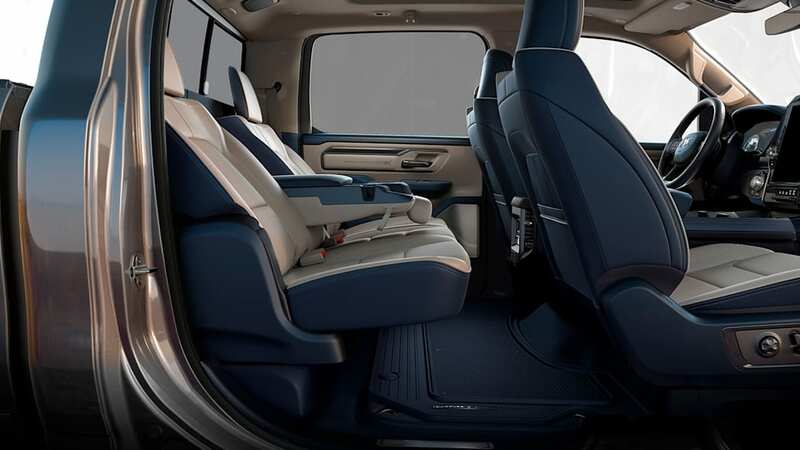 With it, back seat legroom grows to an indulgent degree with a whopping 45.2 inches. 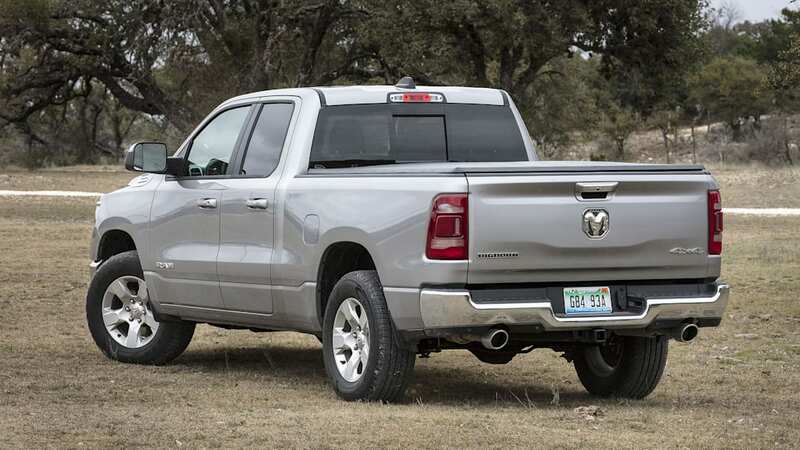 That's about two inches better than the Silverado Crew Cab and F-150 Super Crew, and three inches better than the Tundra Crew Max. 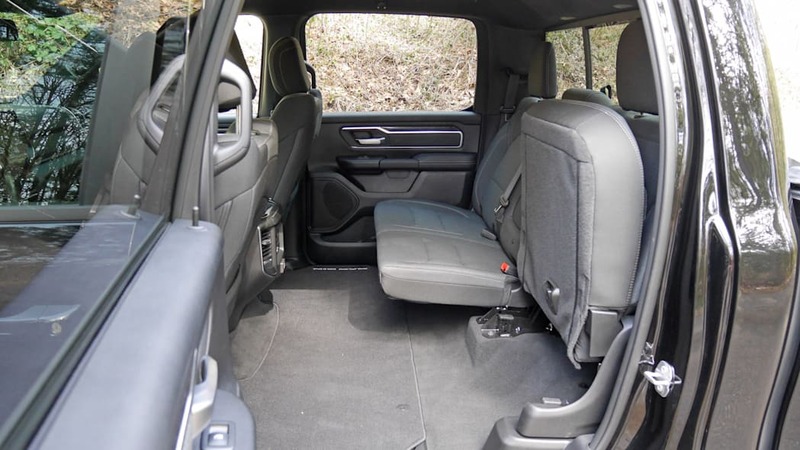 Admittedly, all possess so much massive, stretch-out legroom that there'll likely be a full foot from knees to the front seat back. 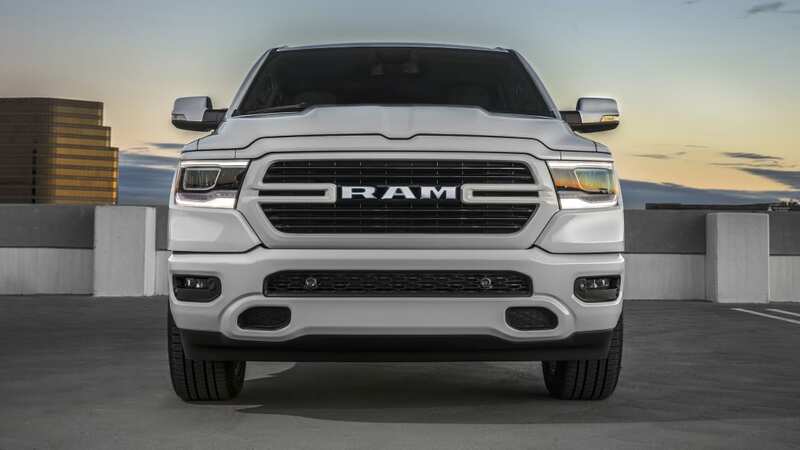 So yes, the Ram has more, but we're not sure it really matters. 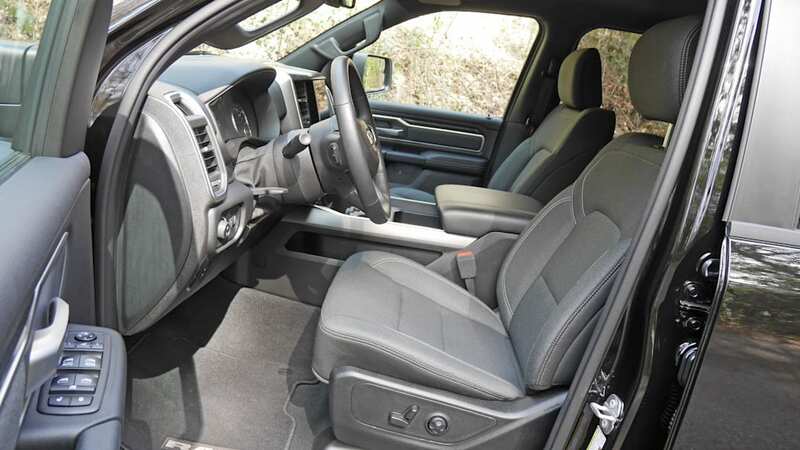 What could, however, is the available reclining back rest that increases comfort considerably. 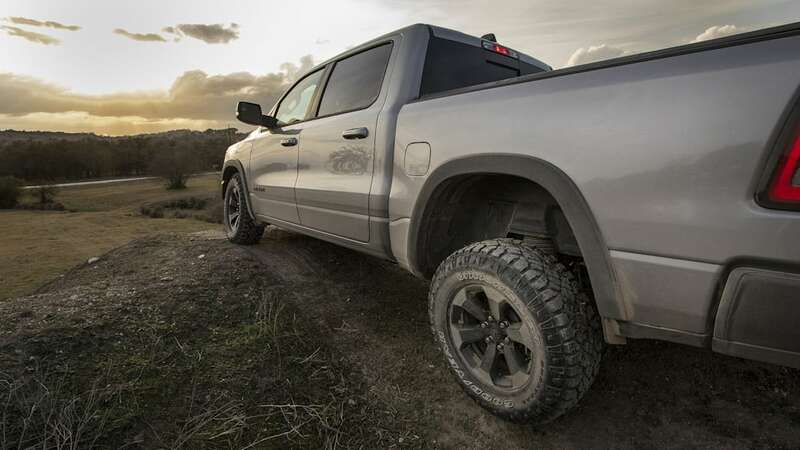 The Tundra is the only other truck that offers that. 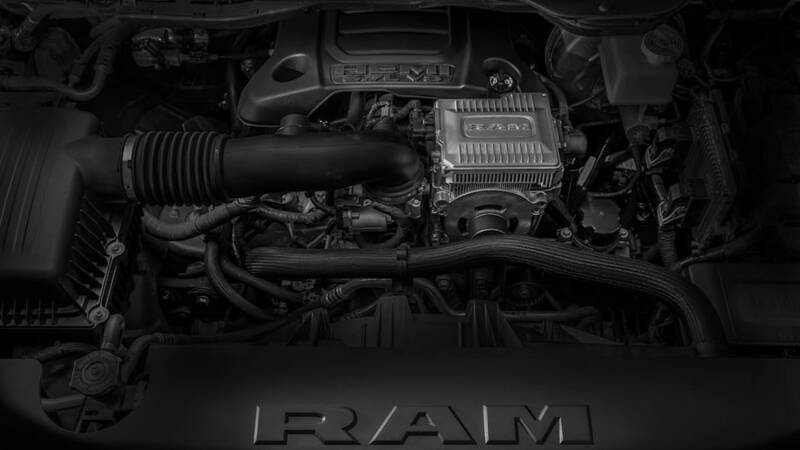 The standard engine is a 3.6-liter V6 that is aided by a 48-volt mild hybrid system Ram calls eTorque. 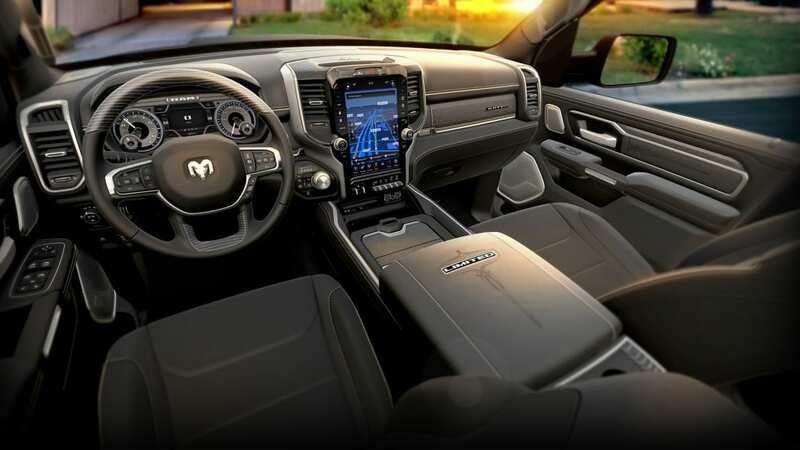 It adds a small amount of electricity while accelerating from a stop to increase power and refinement, as well as improving the automatic stop/start system and fuel economy. 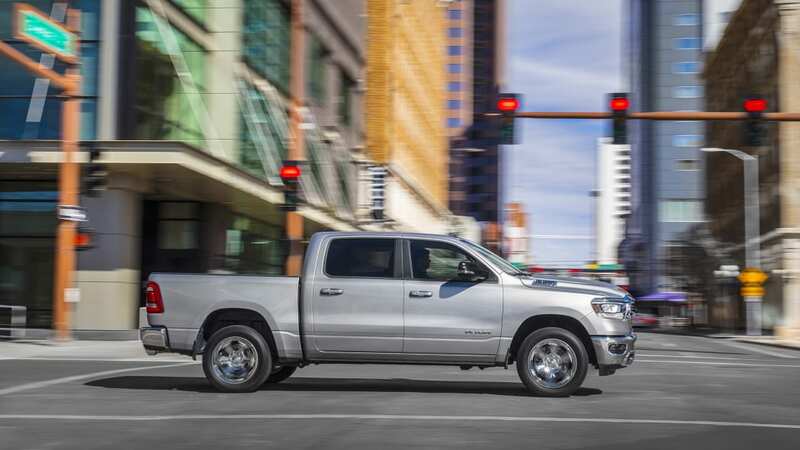 We explain it more in our Ram 1500 eTorque first drive. 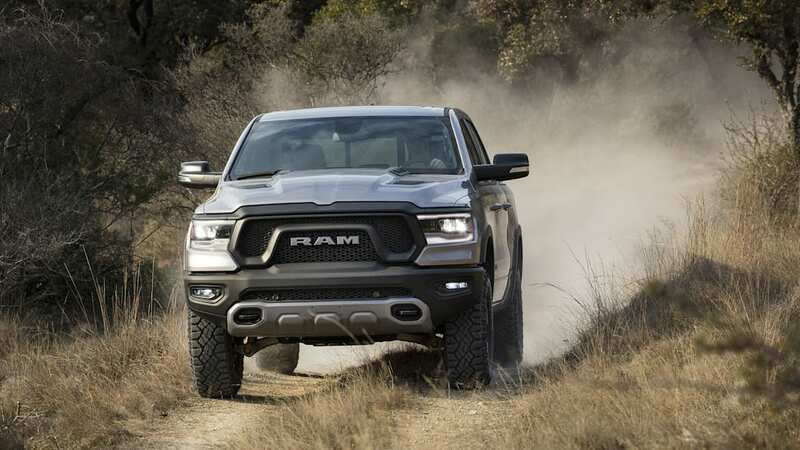 Output is 305 horsepower and 269 pound-feet of torque, and an eight-speed automatic is standard. 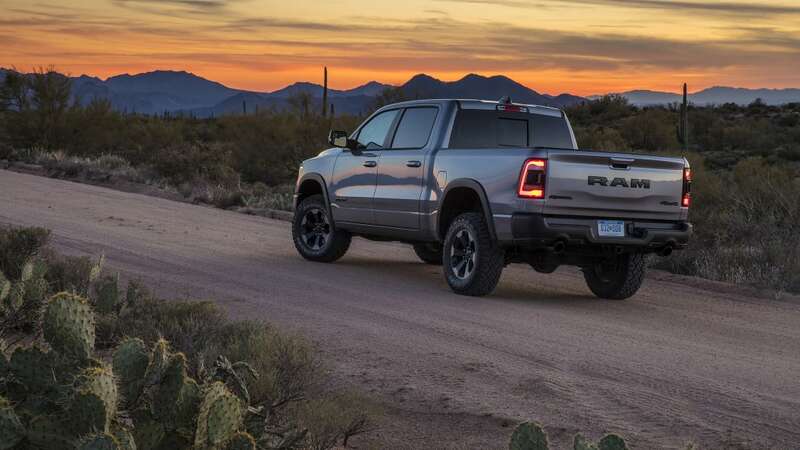 EPA-estimated fuel economy is 20 miles per gallon city, 25 mpg highway and 22 mpg combined with rear-wheel drive, and 19/24/21 with all-wheel drive. 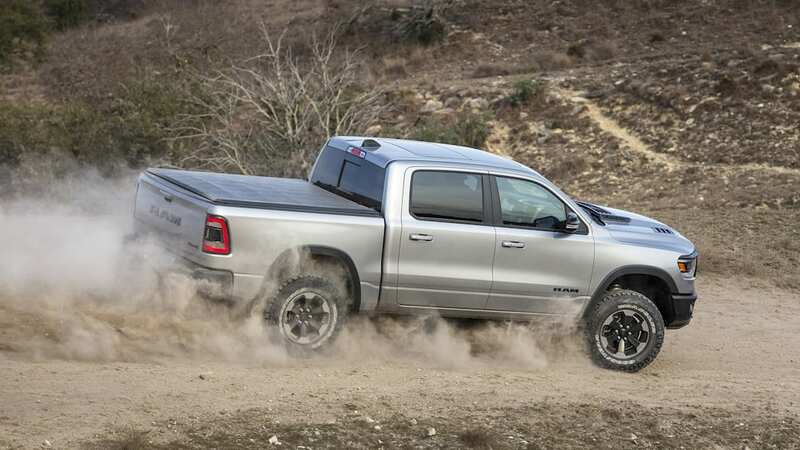 There are two versions of the optional 5.7-liter V8 available, both good for 395 hp and 410 lb-ft of torque. 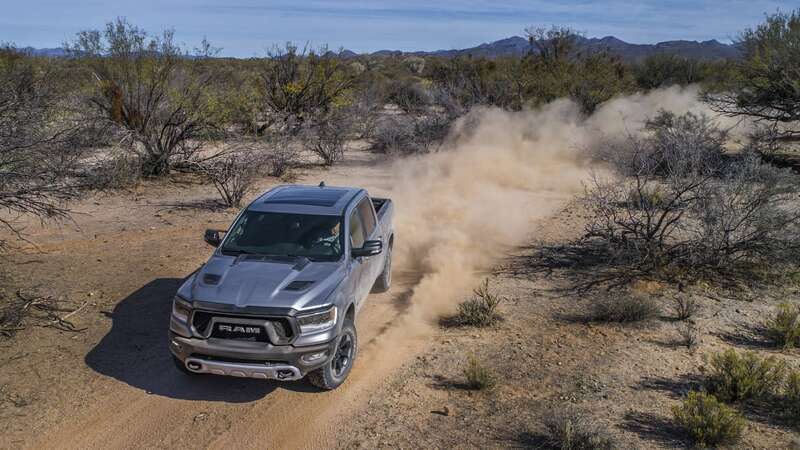 One has eTorque and achieves 17/23/19 with rear-wheel drive, an estimate we confirmed during our test of a Ram 1500 Big Horn. 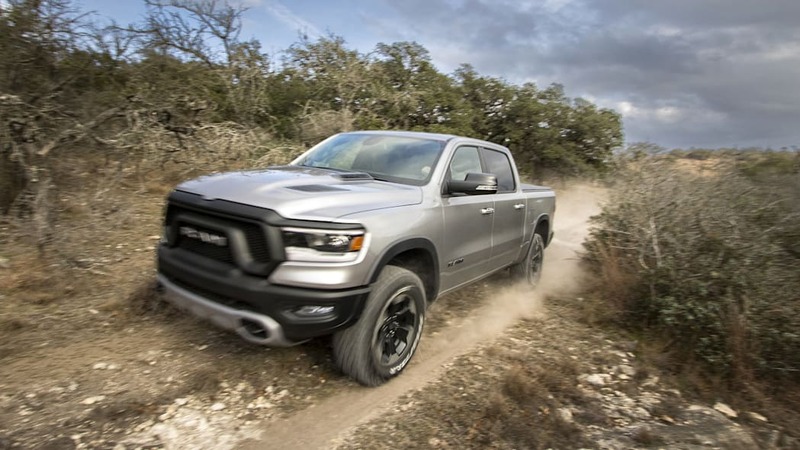 The other version does not have eTorque and achieves 15/22/17 with rear-wheel drive. 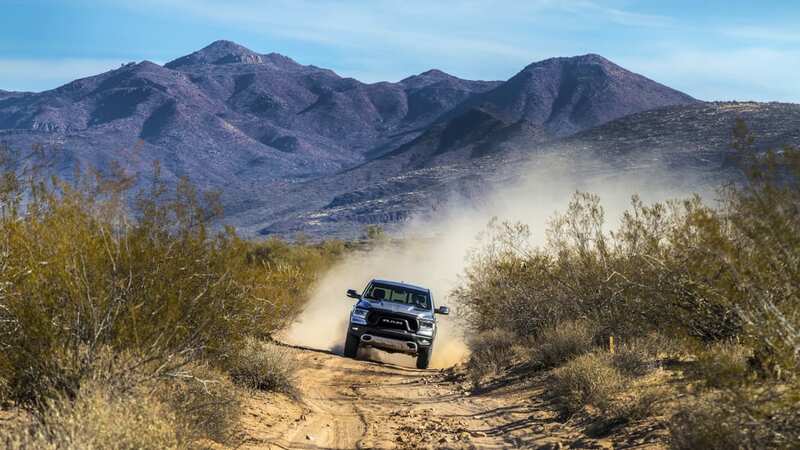 The penalty for 4WD is negligible. 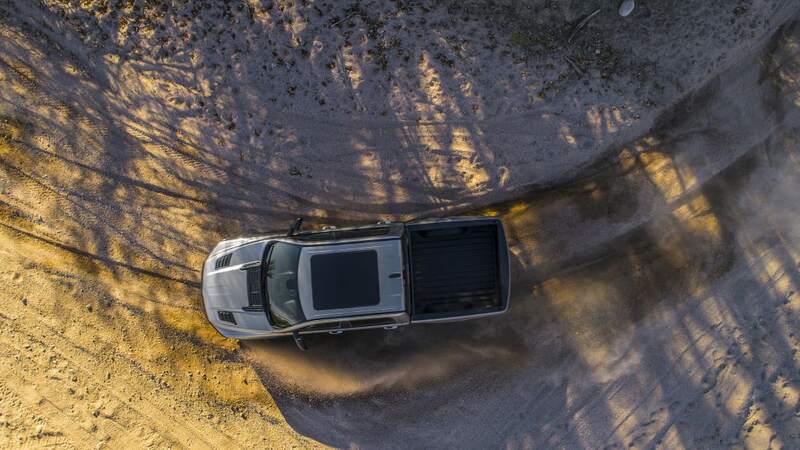 While the differences in fuel economy with and without eTorque may seem small in terms of mpg, they can actually equate to hundreds saved in gas every year. 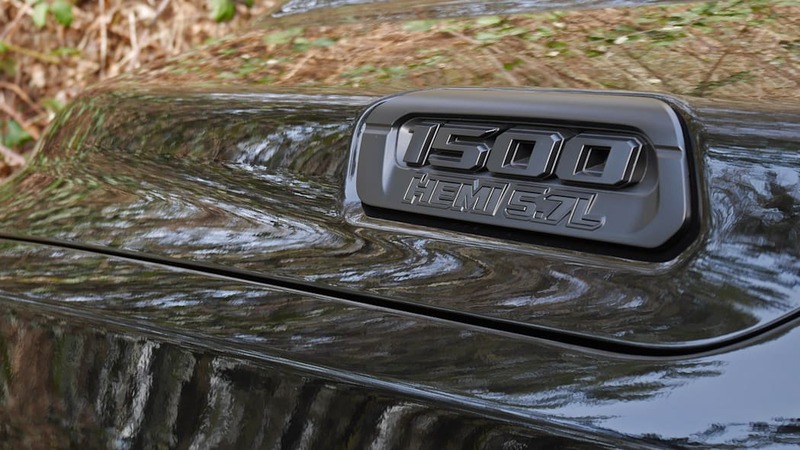 A diesel engine is expected to be offered in the future, but was not at the time of this writing. 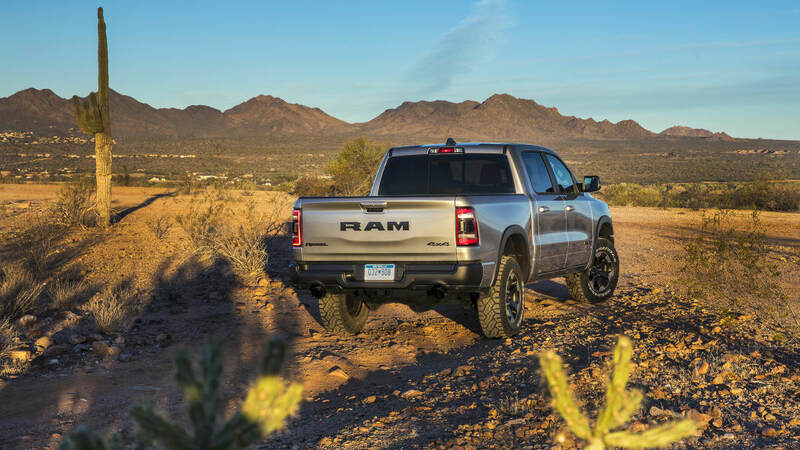 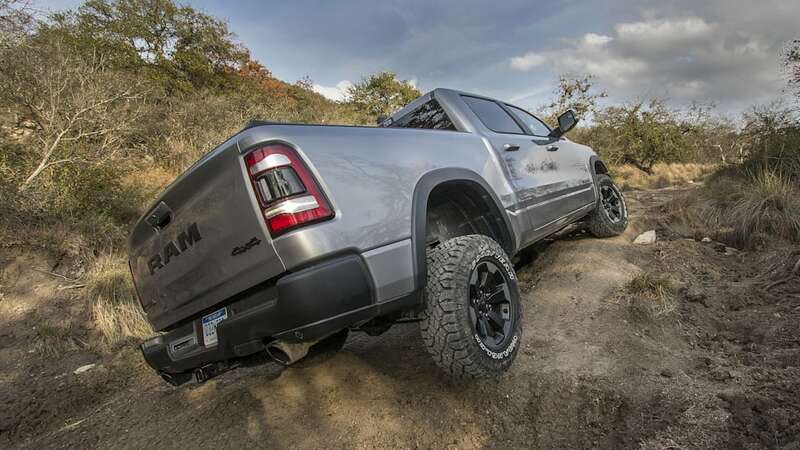 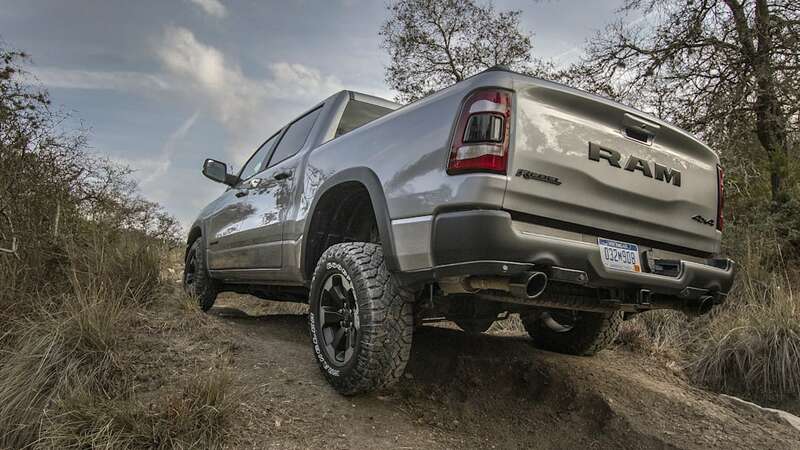 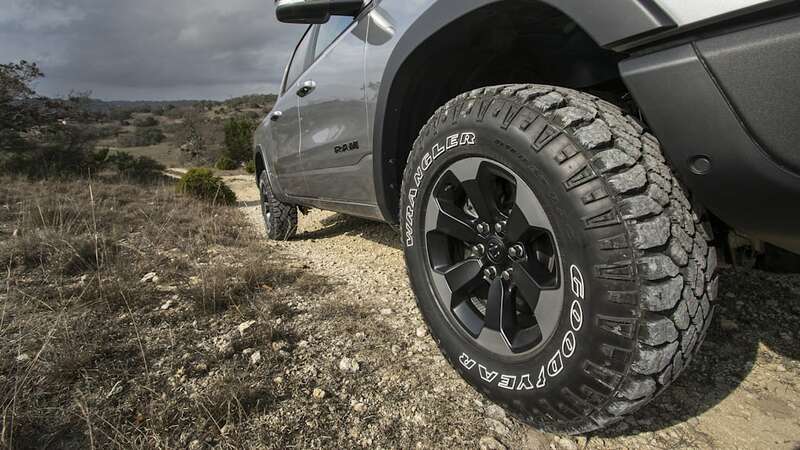 The off-road-oriented Ram Rebel has special styling and equipment. 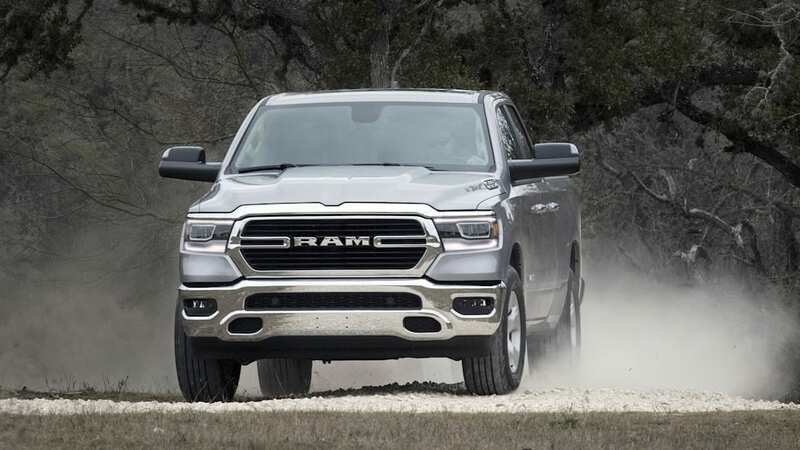 The Ram 1500 is so refined that it can feel like you're driving a large crossover rather than pickup. 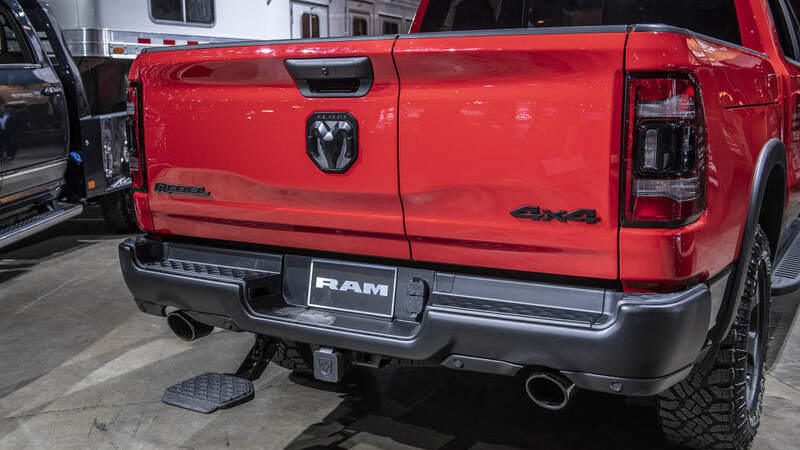 Thanks to its five-link coil spring rear suspension, its ride quality is buttery smooth in comparison to rival trucks that all have leaf springs. 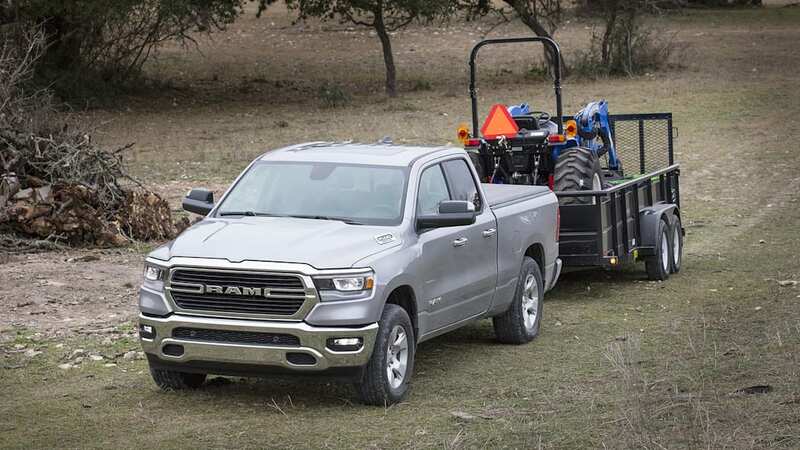 That suspension design also benefits handling and trailer control, and can even be upgraded with an available air suspension capable of raising to clear obstacles and lowering for easier loading. 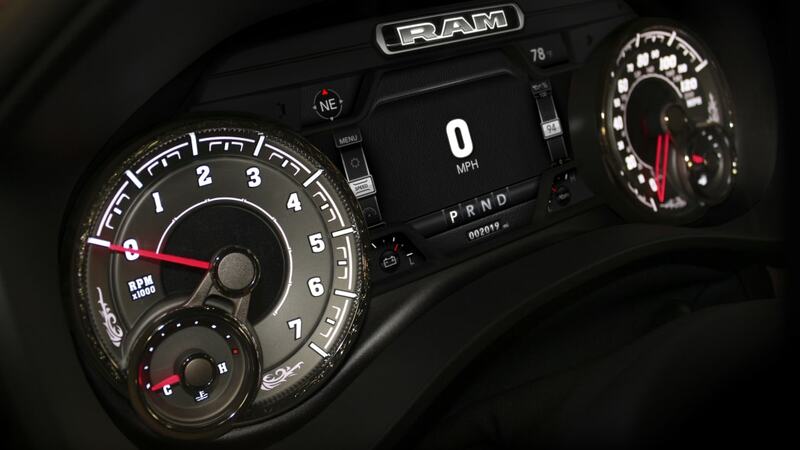 The steering possesses linear, consistent effort and is reassuringly precise on-center. 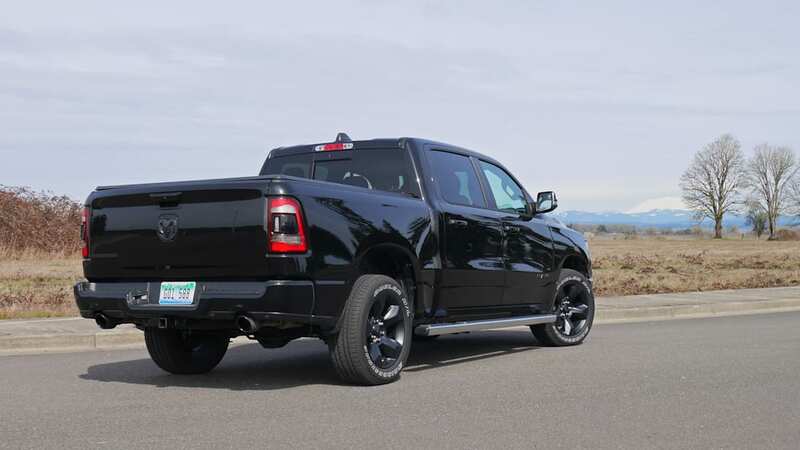 It's not quite as sharp as the Silverado, but it doesn't feel as truck-like as a Ford F-150. 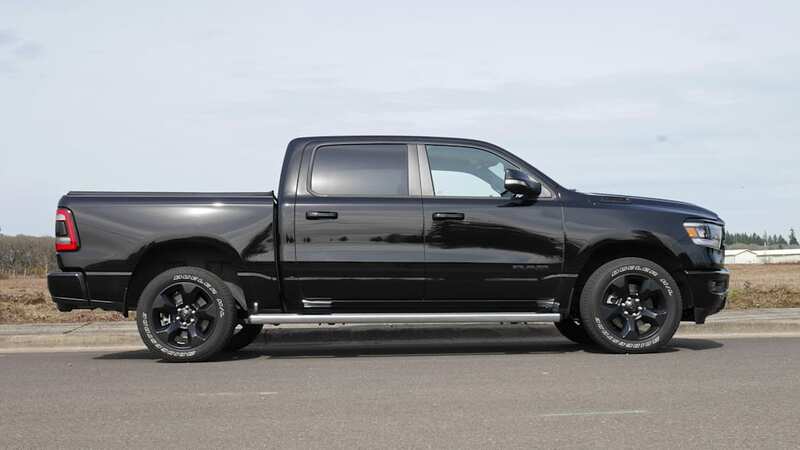 Acceleration from the eTorque-equipped V8 is similarly buttery smooth and impressively quiet. 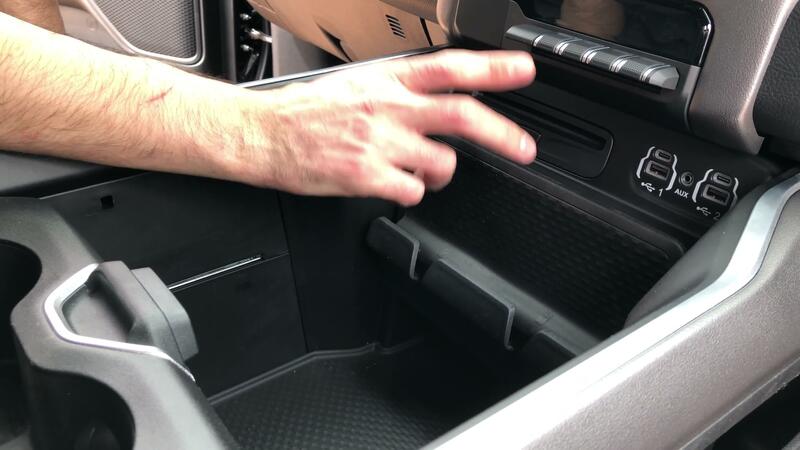 You don't really notice the smidgen of power contributed by the 48-volt electrical system as you would in a proper hybrid, but you also don't notice noise or vibration coming from the automatic stop/start system. 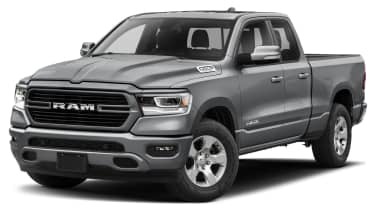 Even without eTorque, however, we noted that the Hemi V8 is still excellent and wonder if it'll be cheaper to maintain in the long term. 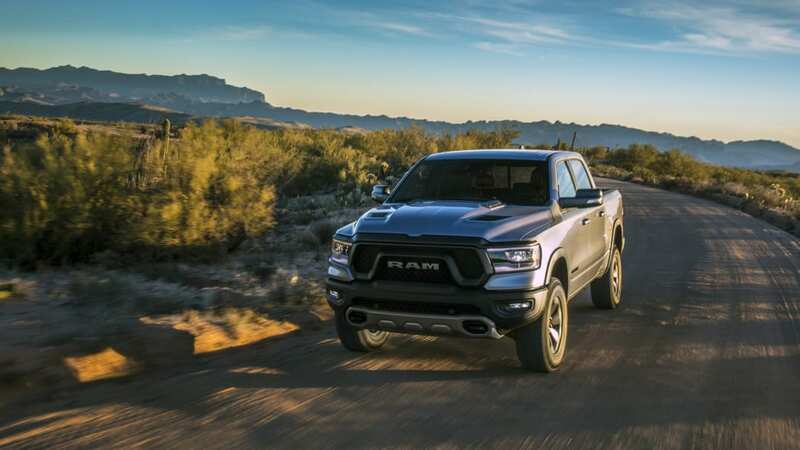 Similarly, you'd be hard pressed to know that the V6 possesses eTorque, and you'll be surprised at just how capable the Ram can be with only six cylinders. 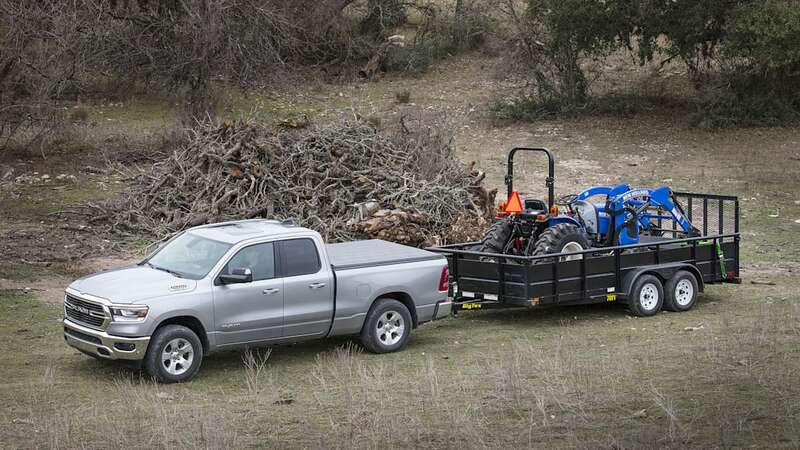 The eight-speed automatic certainly helps in this regard, especially while towing. 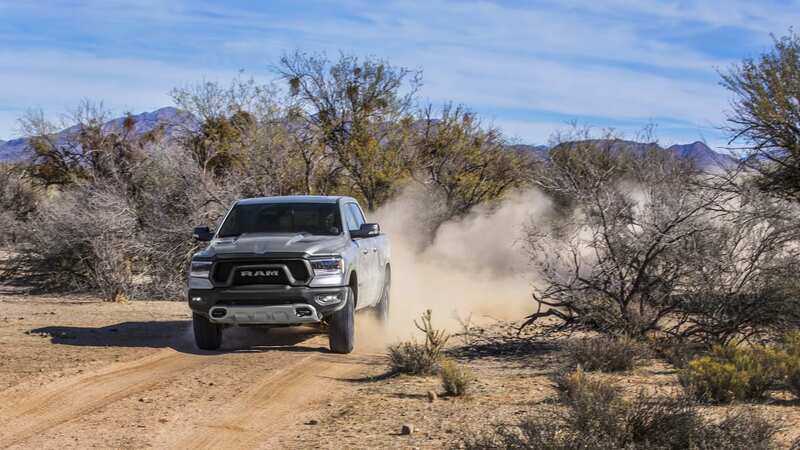 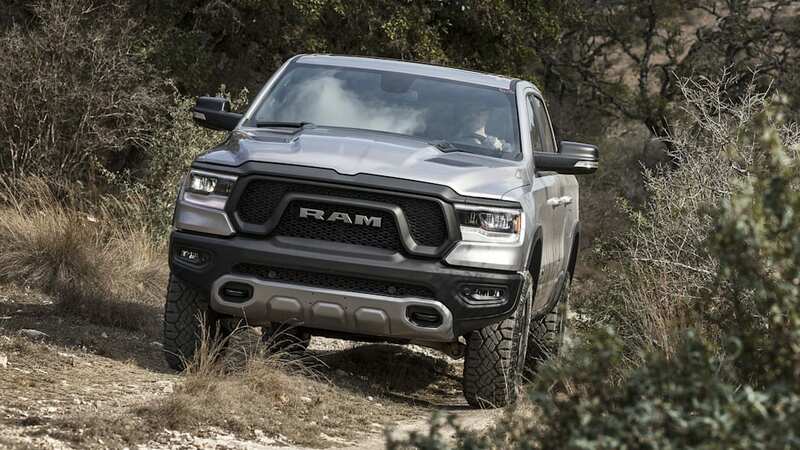 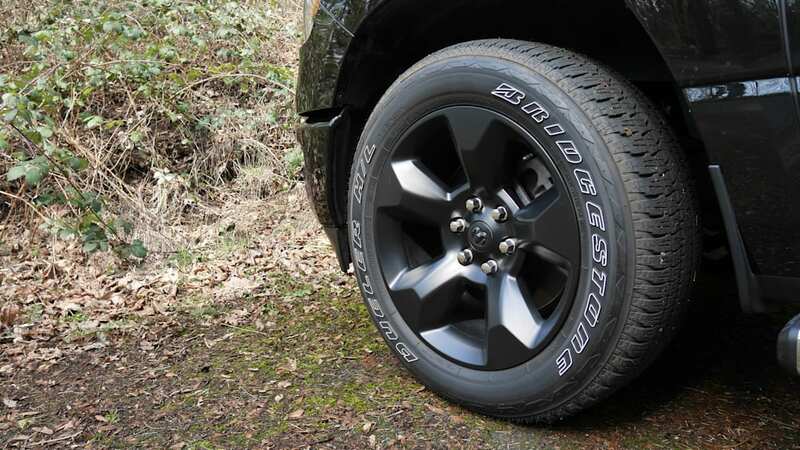 What more can I read about the 2019 Ram 1500? 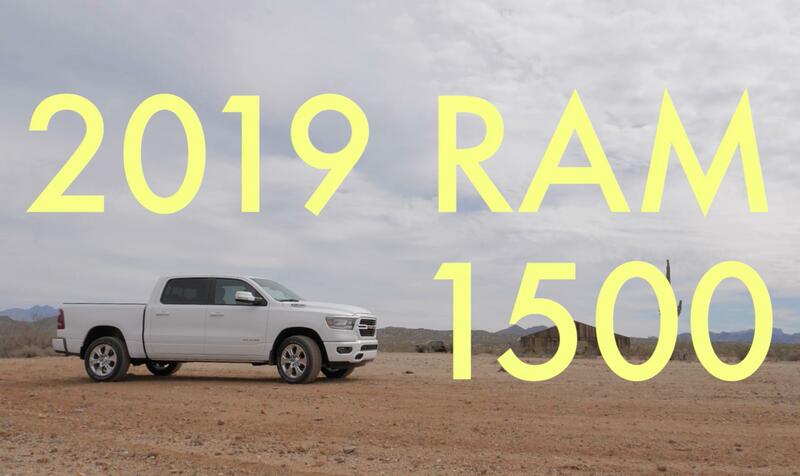 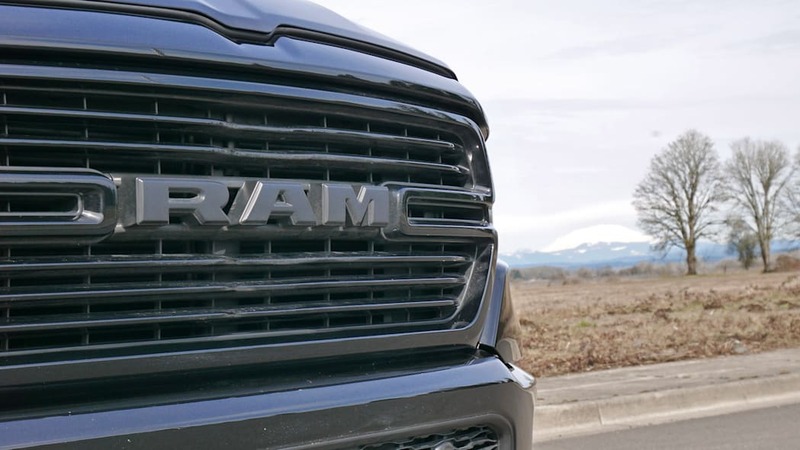 Everything you need to know about what's new about the 2019 Ram 1500, plus our first driving impressions and multiple videos breaking down what you can expect from the new Ram. 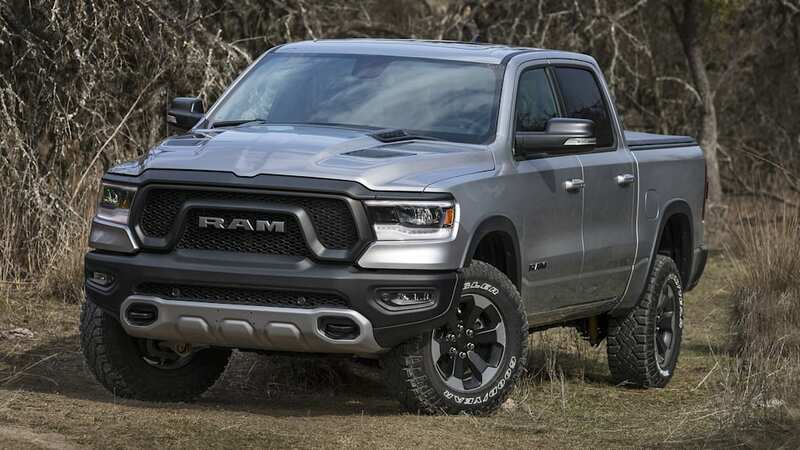 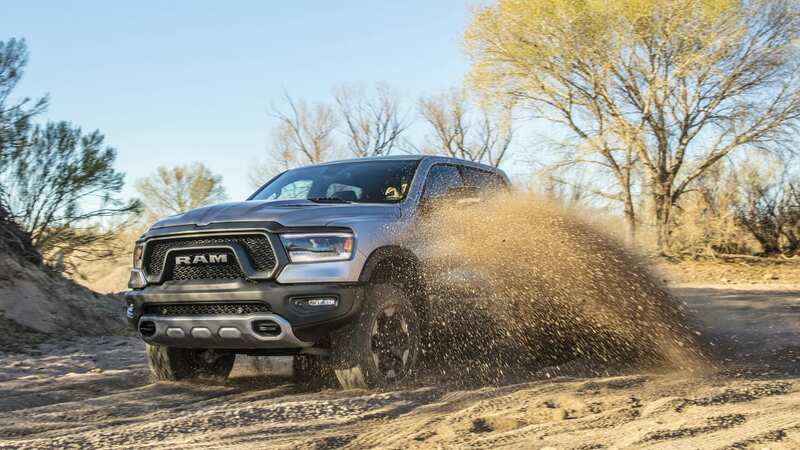 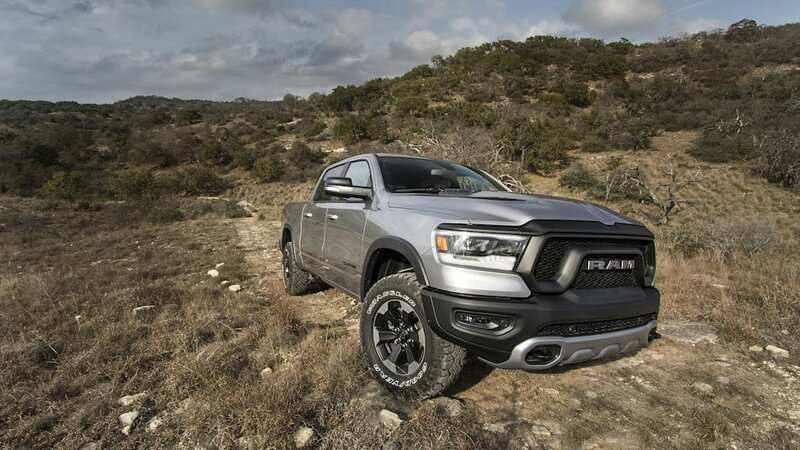 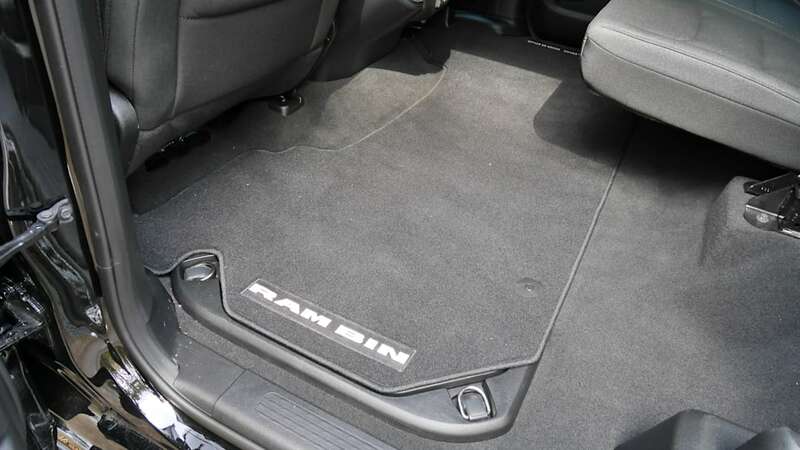 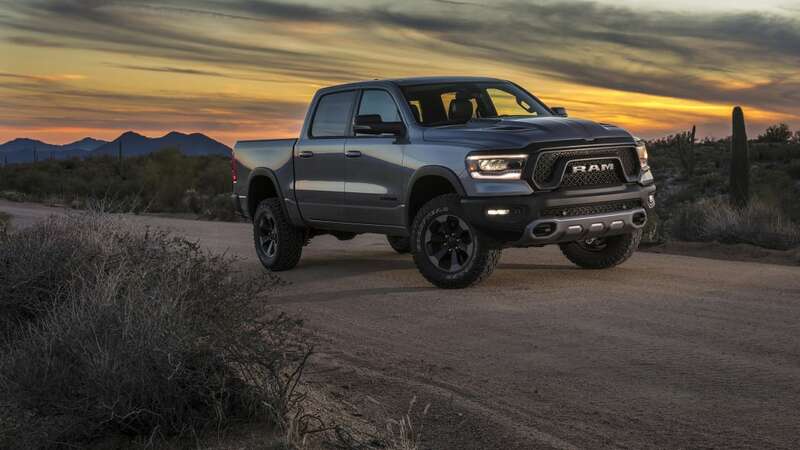 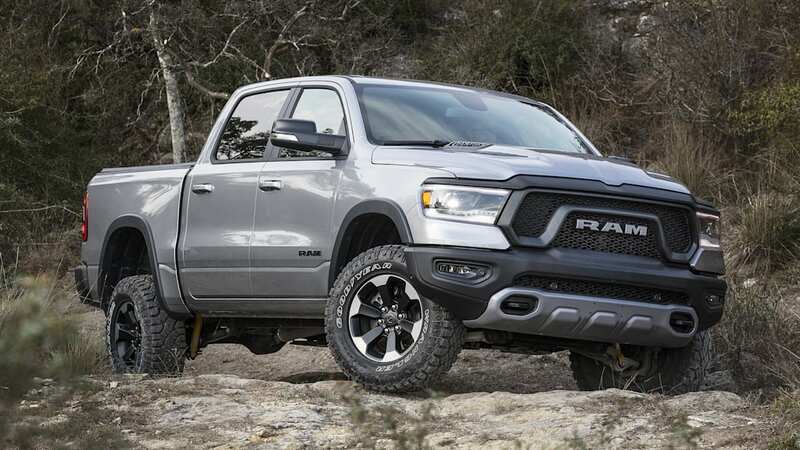 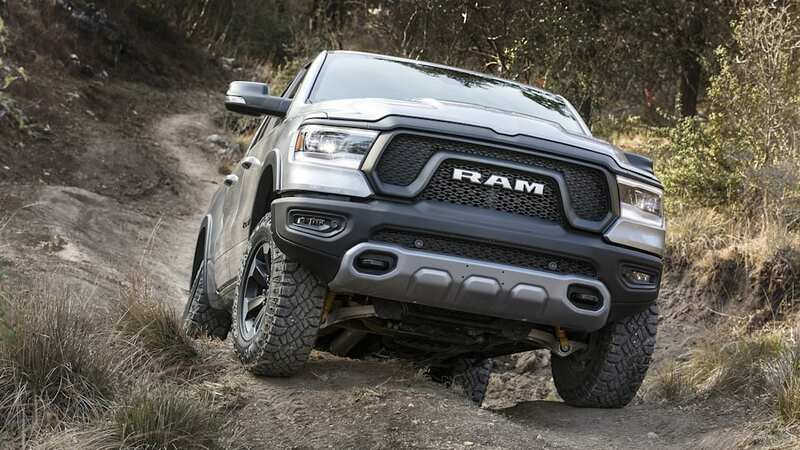 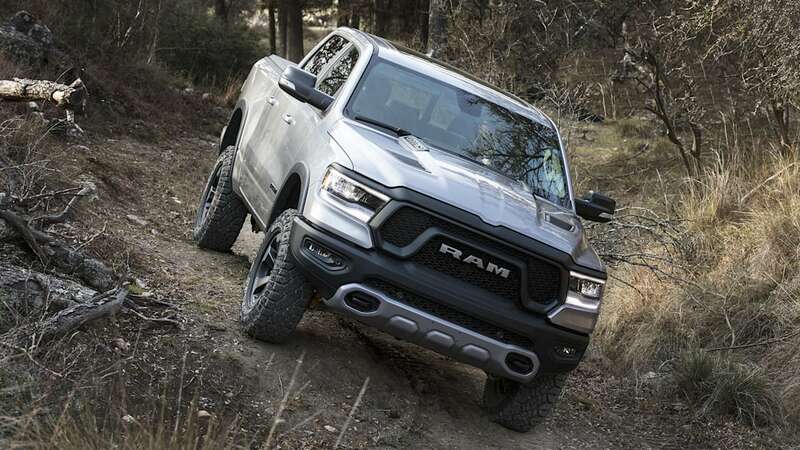 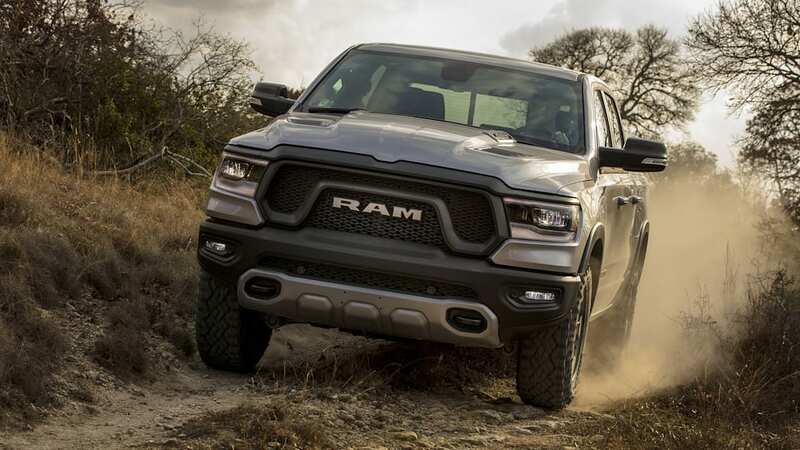 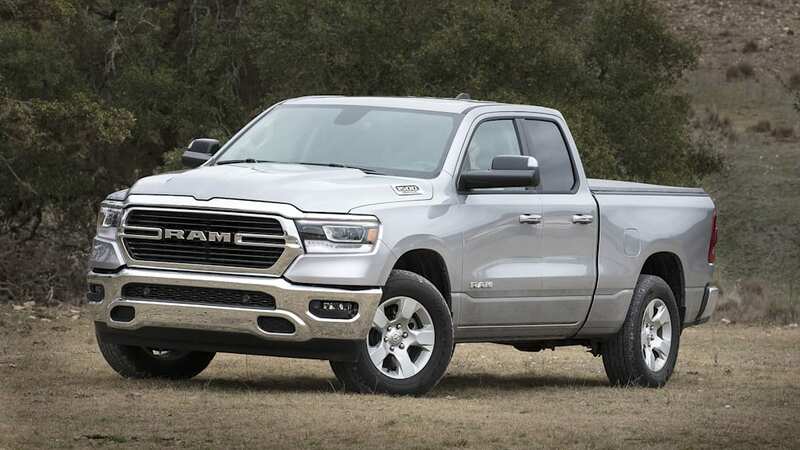 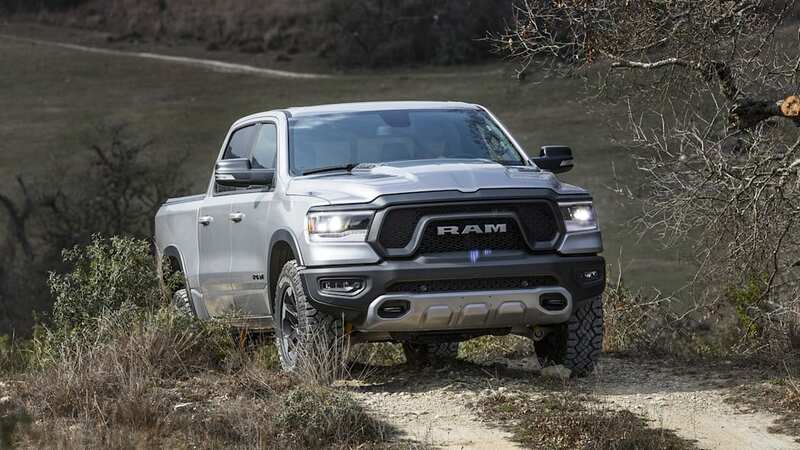 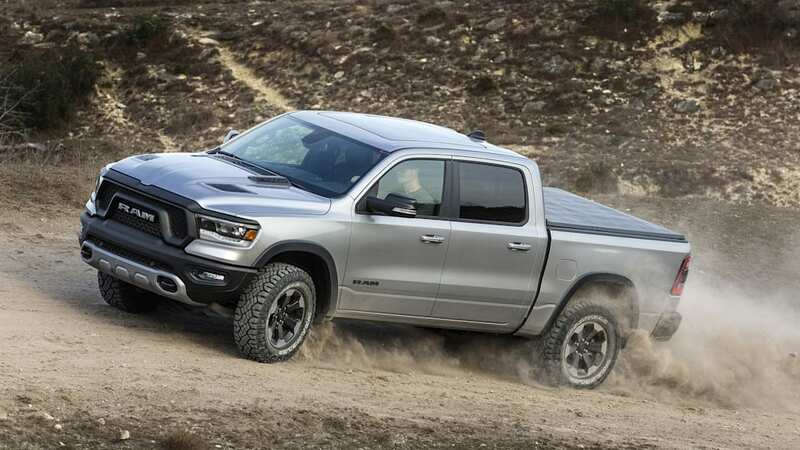 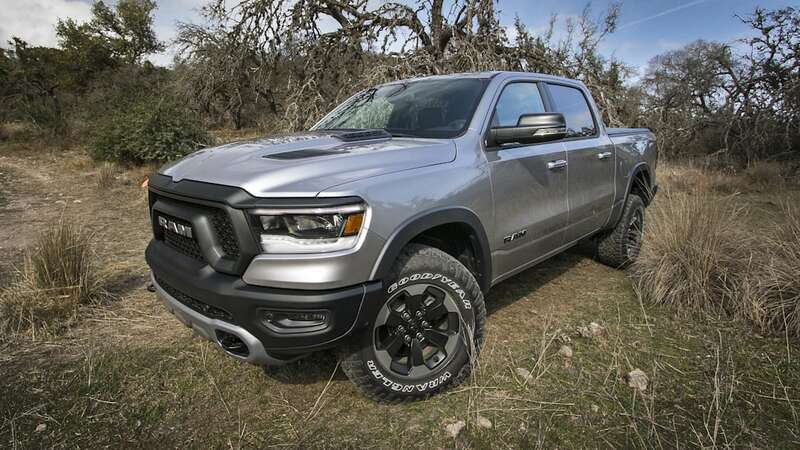 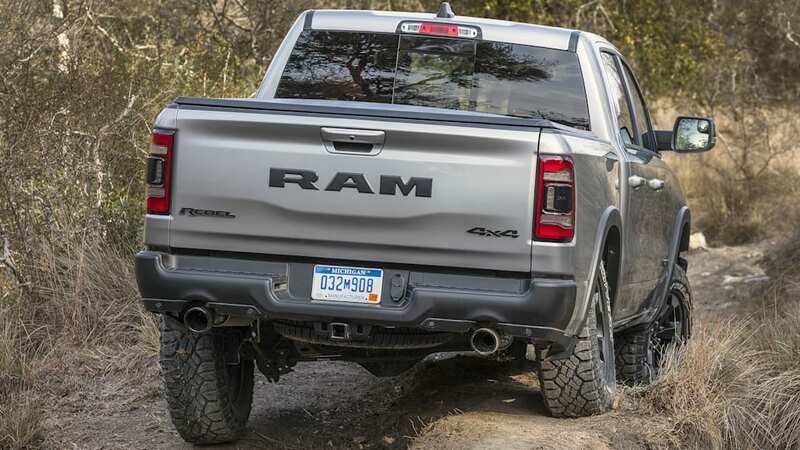 We test the most basic 2019 Ram, the Tradesman. 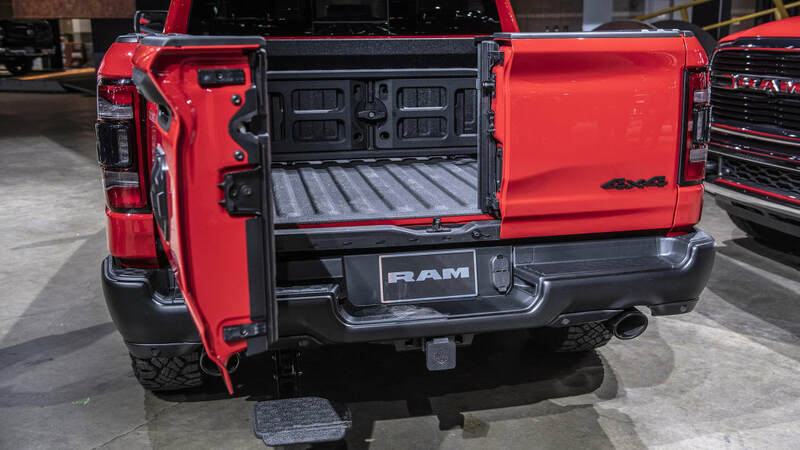 Despite being stripped of all the fancy interior trappings and features found on upper trims, the bare bones Ram still proves to be pretty great. Explaining what eTorque is, how the V6 and V8 engines work with this 48-volt mild hybrid system, and how the Ram 1500 is like to drive with them. 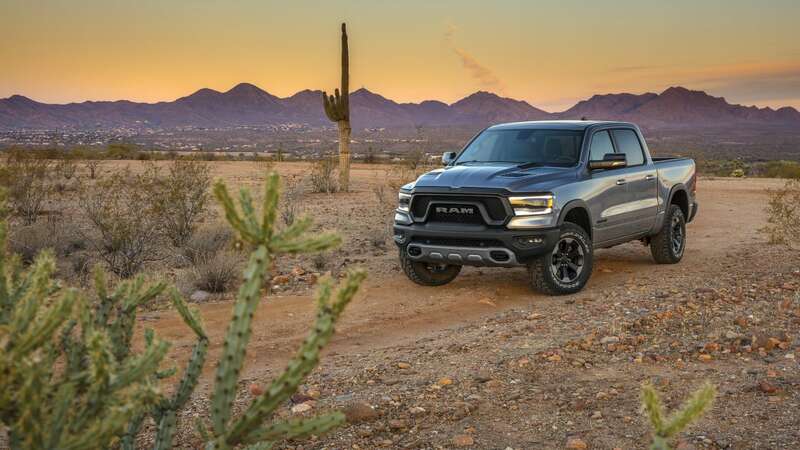 Pricing for the 2019 Ram 1500 starts at $33,490, including the $1,695 destination charge. 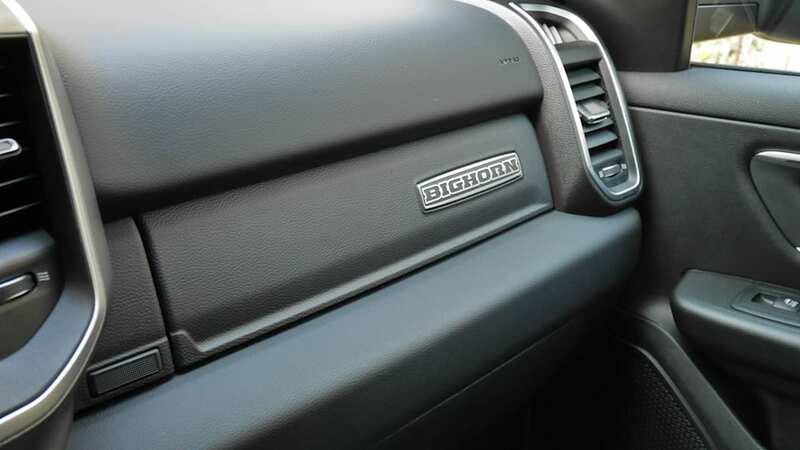 Keep in mind that all the prices discussed are for the least expensive version of each trim level, with no options. 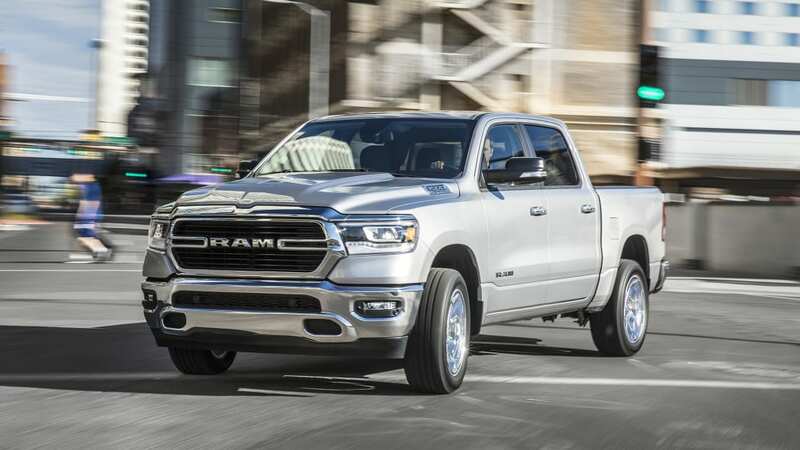 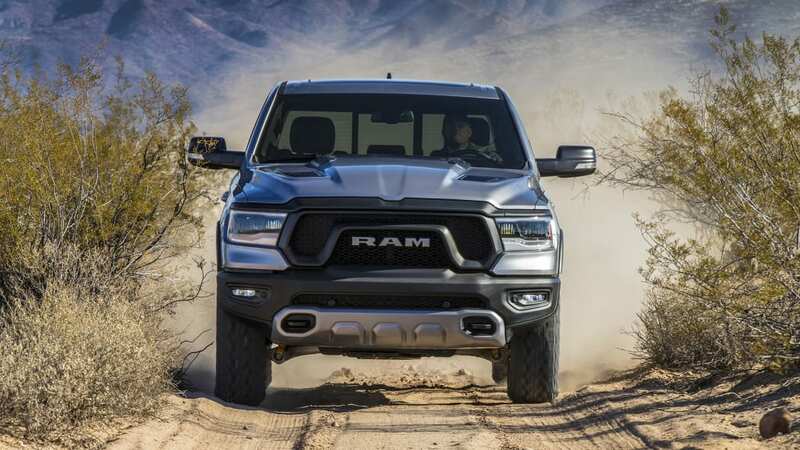 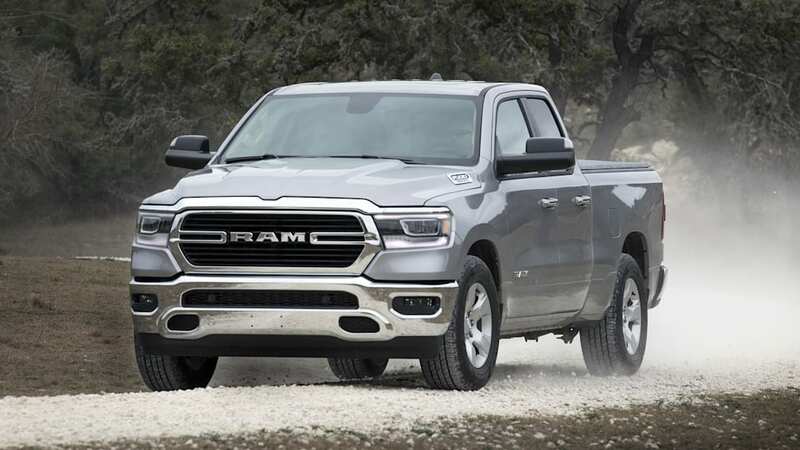 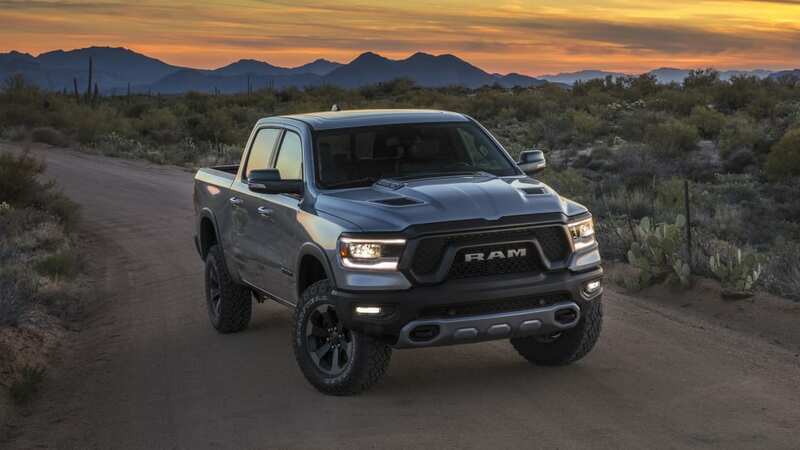 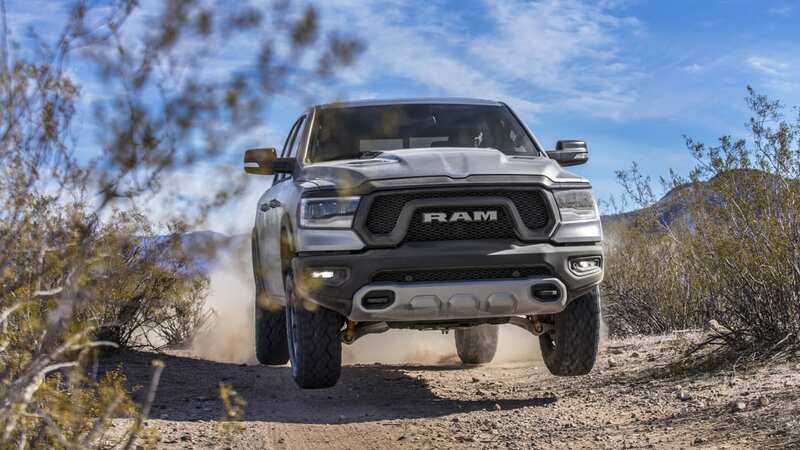 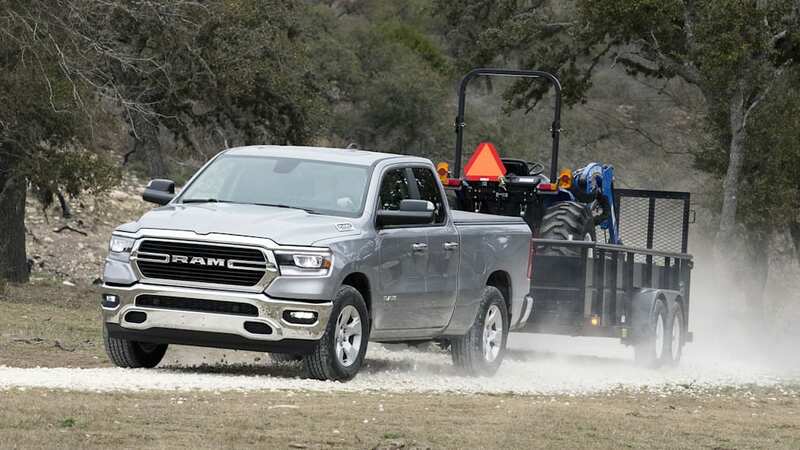 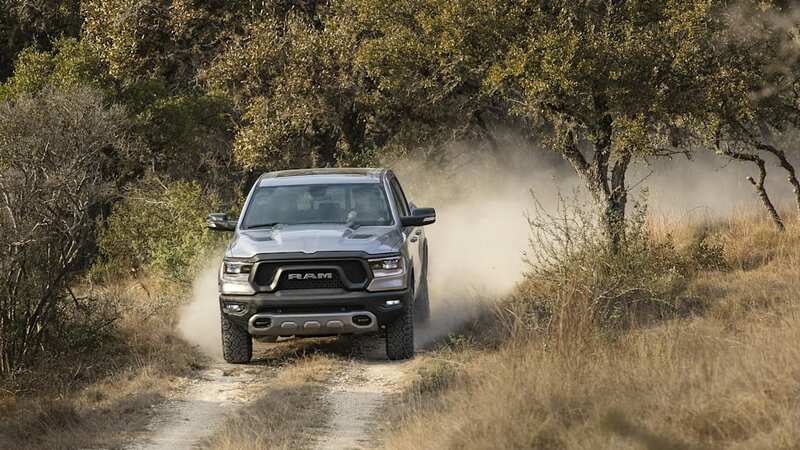 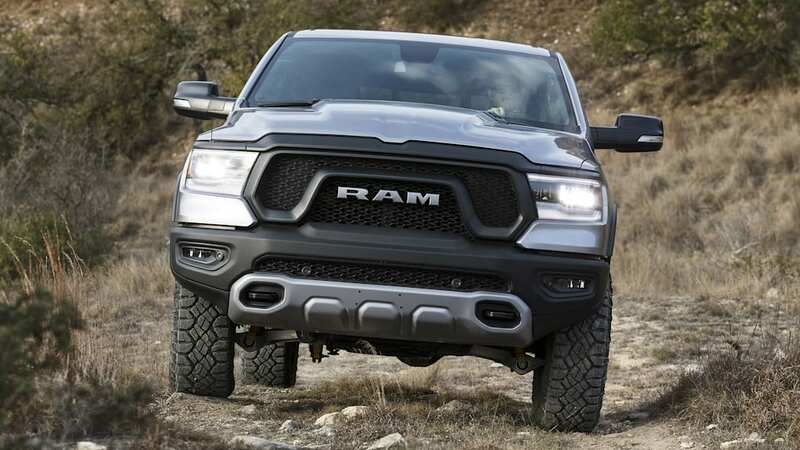 Engine, drivetrain, cab style and bed length can also affect the price, so to dig deeper, check out the various Rams' specs, features and local pricing here on Autoblog. 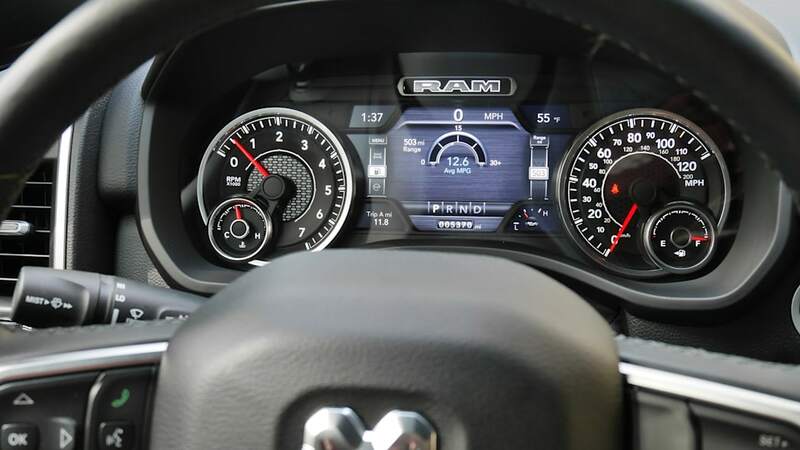 There are six trim levels. 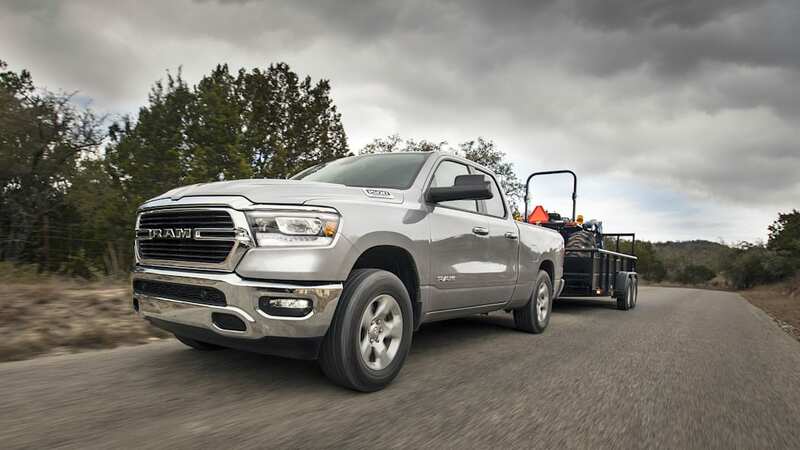 The bare bones Tradesman ($33,490), which as the name suggests, is mostly intended for work truck applications. 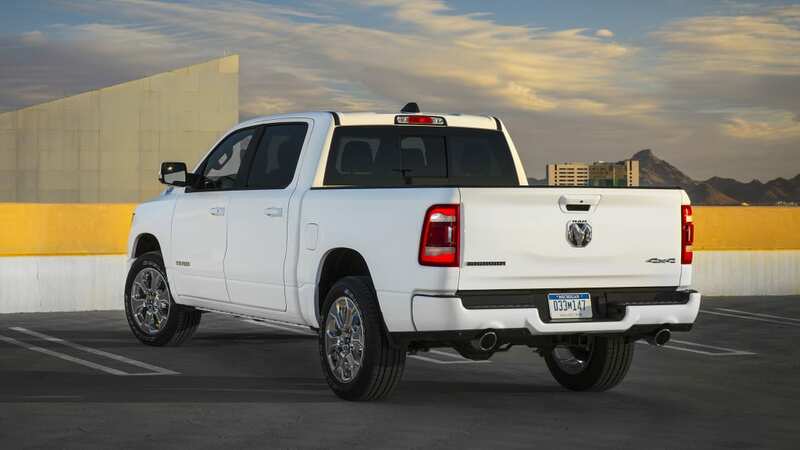 The Big Horn ($37,735), which is known as Lone Star in Texas and surrounding states, is the volume-selling Ram. 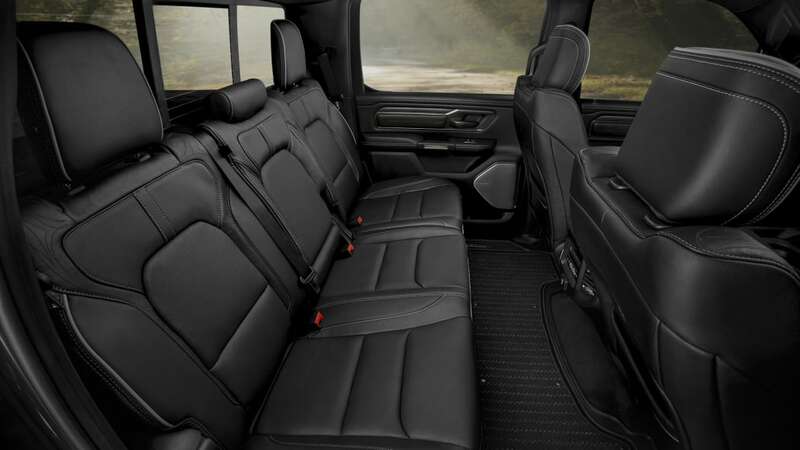 Its extensive options list allows it to be as simple or luxurious as your tastes and budget allows. 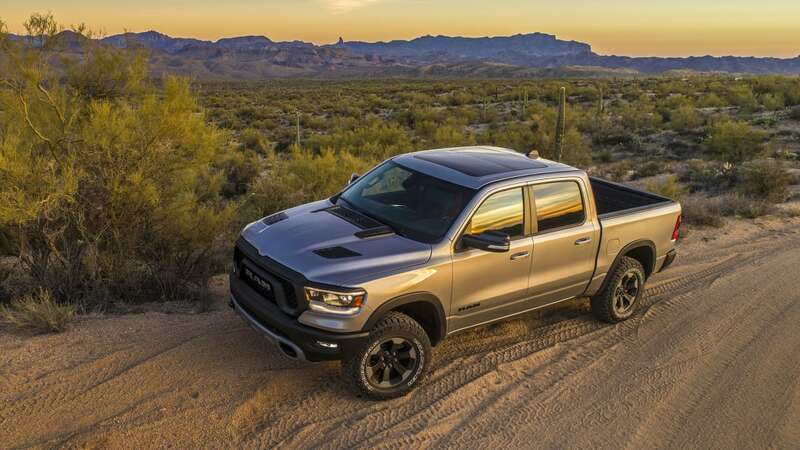 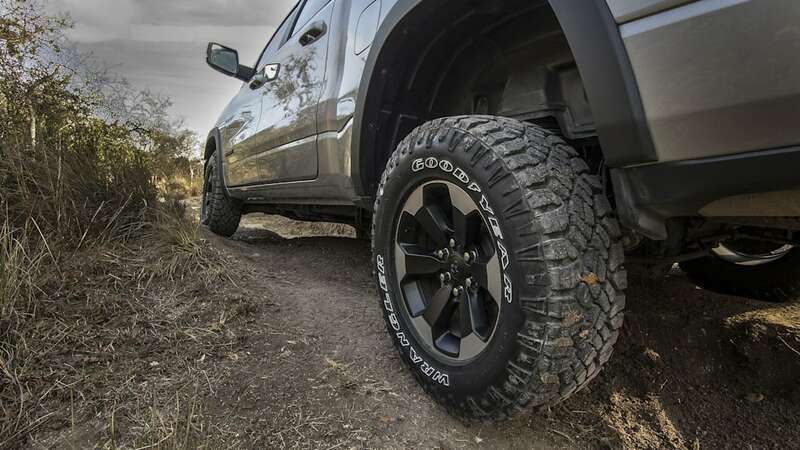 The Rebel ($46,635) is an off-road-oriented truck that gets unique styling, rugged bumpers, all-terrain tires, a specialty suspension, an electronic locking differential, skid plates, tow hooks and hill descent control. 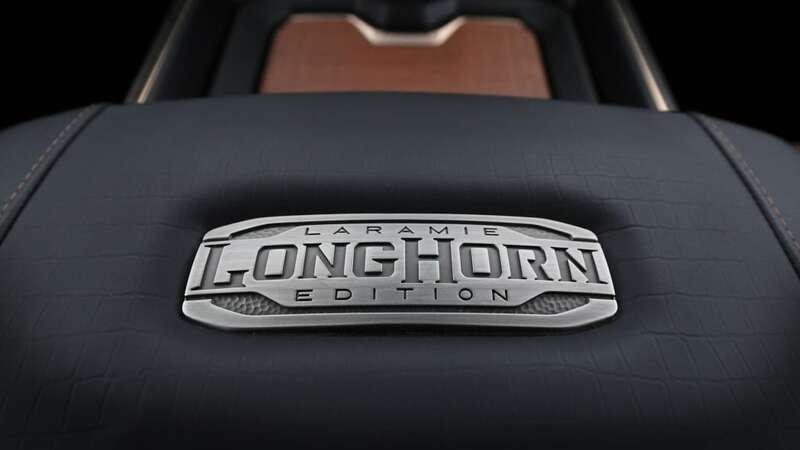 There are then three luxury trim levels: Laramie ($41,635), Longhorn ($52,335) and Limited ($54,690). 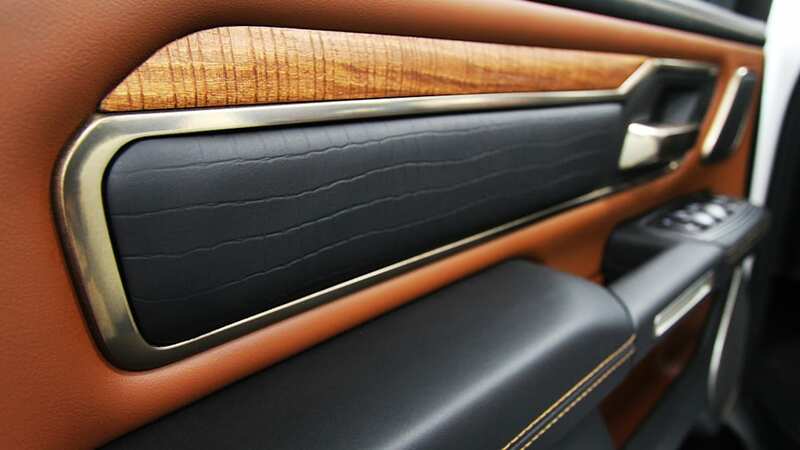 Each features further luxury indulgences, but also differ in terms of design elements. 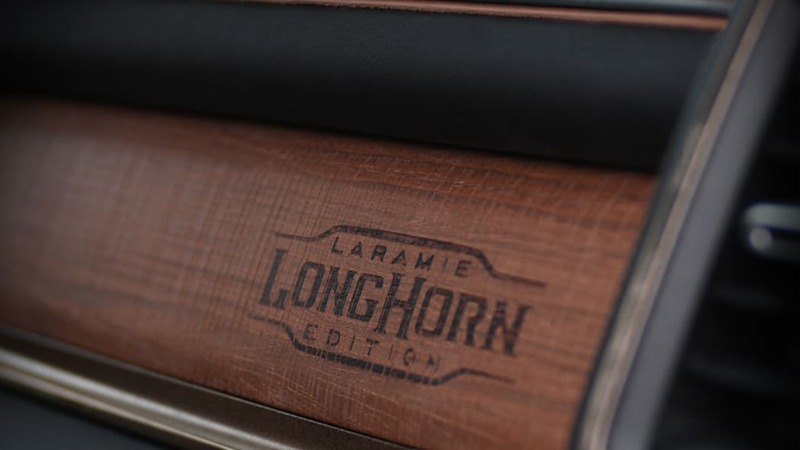 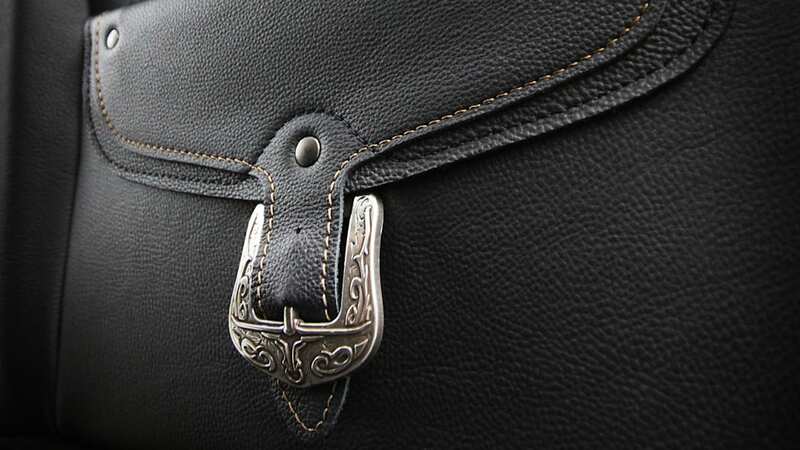 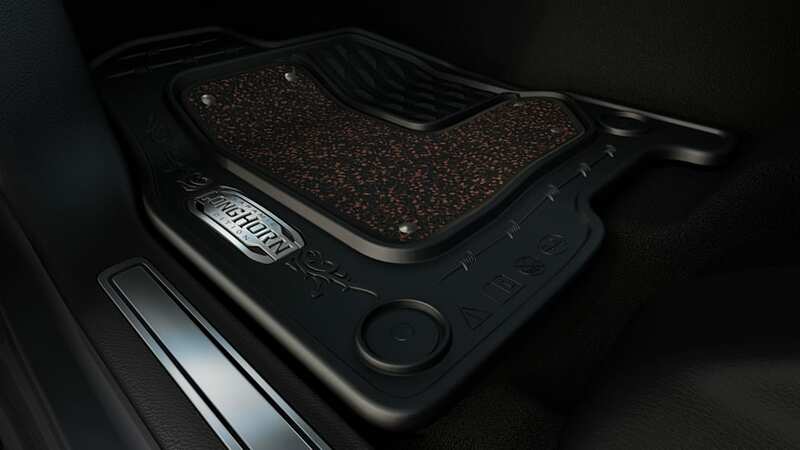 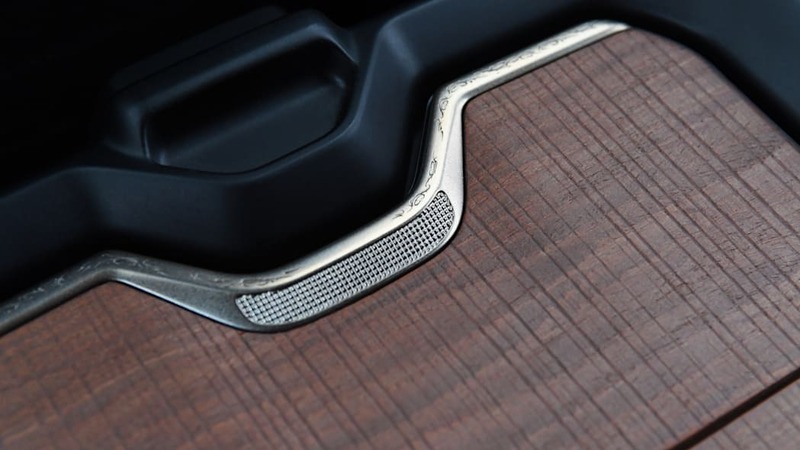 For instance, the Longhorn has a more western theme complete with special leather and cattle-branded wood trim (below). 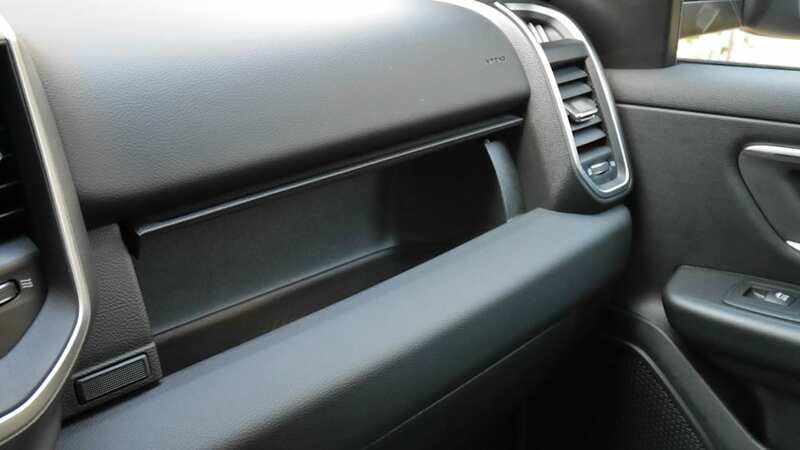 Front-, front-side and side-curtain airbags are standard along with a rearview camera. 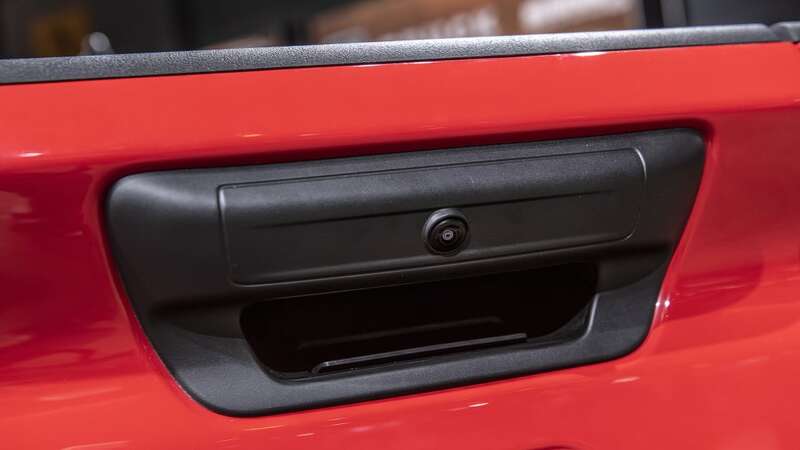 Blind-spot and rear cross-traffic warning systems are standard on the Limited and optional on all but the Tradesman. 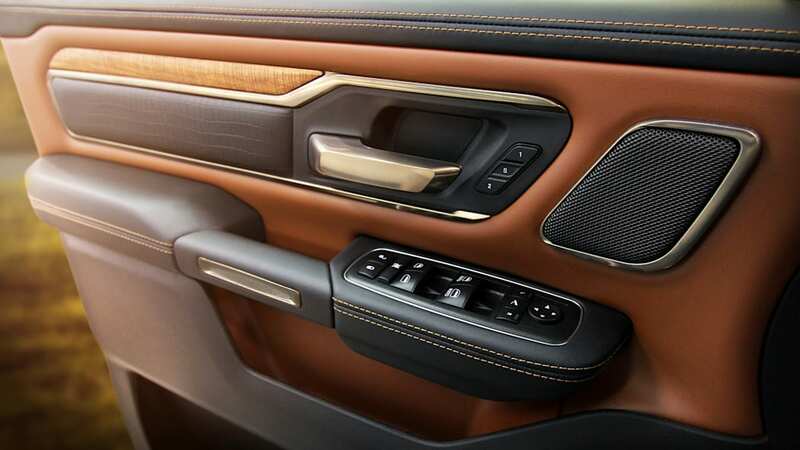 Unfortunately, forward collision warning, automatic emergency braking and lane-keeping assist are only available on the top three luxury trims. 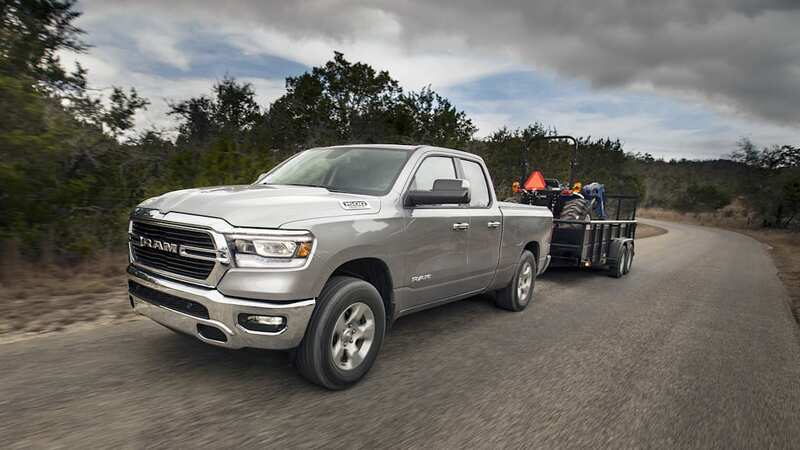 Both the Ram Quad Cab and Crew Cab received the best-possible crashworthiness and crash prevention ratings from the Insurance Institute for Highway Safety. 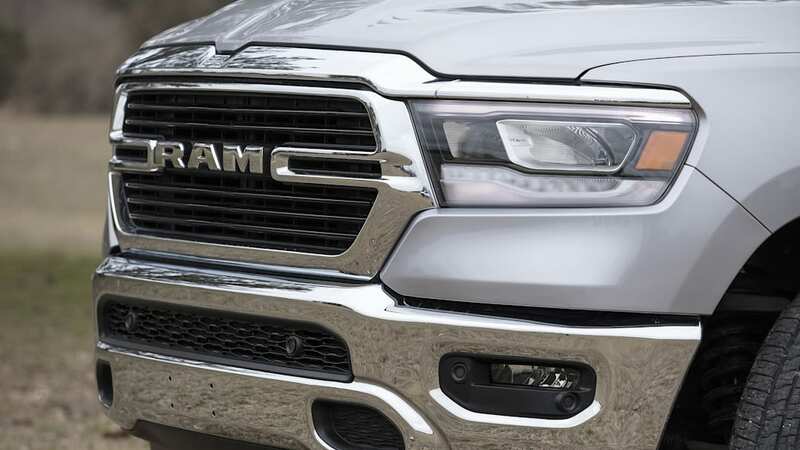 However, a Marginal rating for their headlights kept them from getting Top Safety Pick awards.